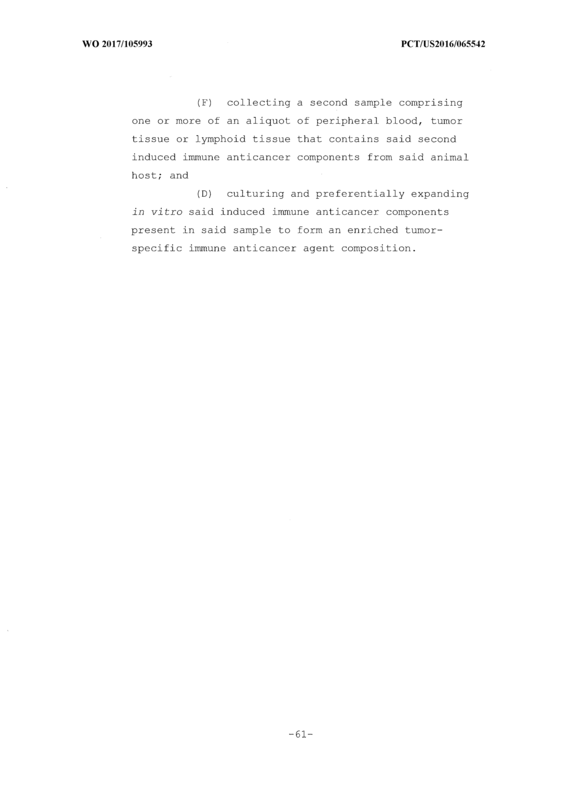 A cancer immunotherapy method is disclosed in which "induced immune anticancer agents" are isolated after being induced in an animal host by intralesional (IL) administration of a halogenated xanthene tumor-ablative compound into a solid cancerous tumor of that host animal. 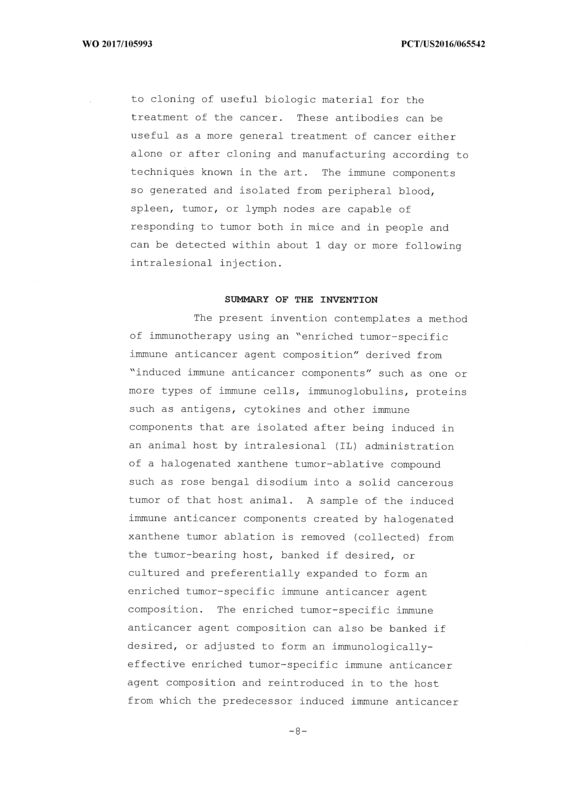 A sample of the induced immune anticancer agents is removed (collected) from the tumor-bearing host, banked if desired, cultured and preferentially expanded to form an immunologically-effective enriched tumor-specific immune anticancer agent composition. 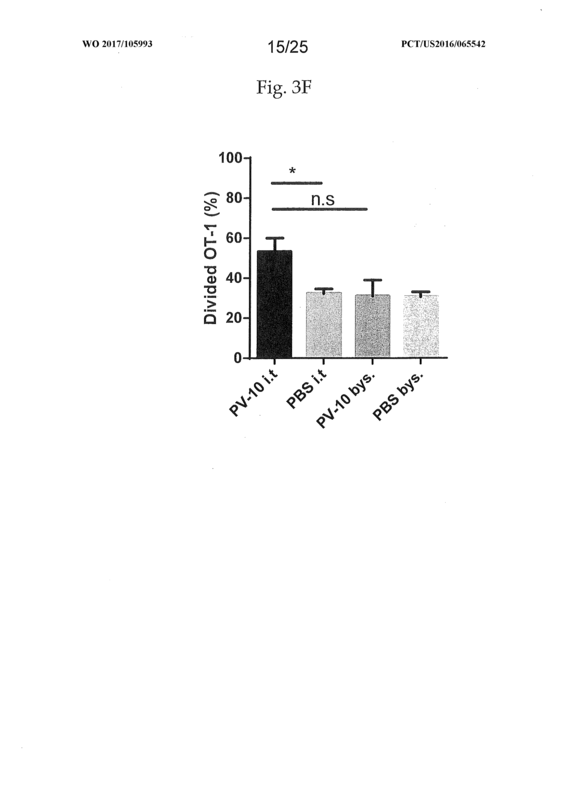 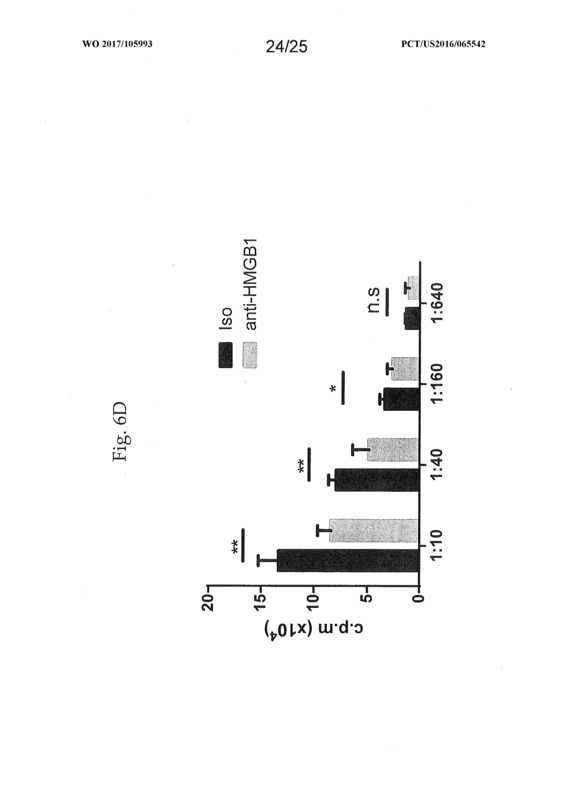 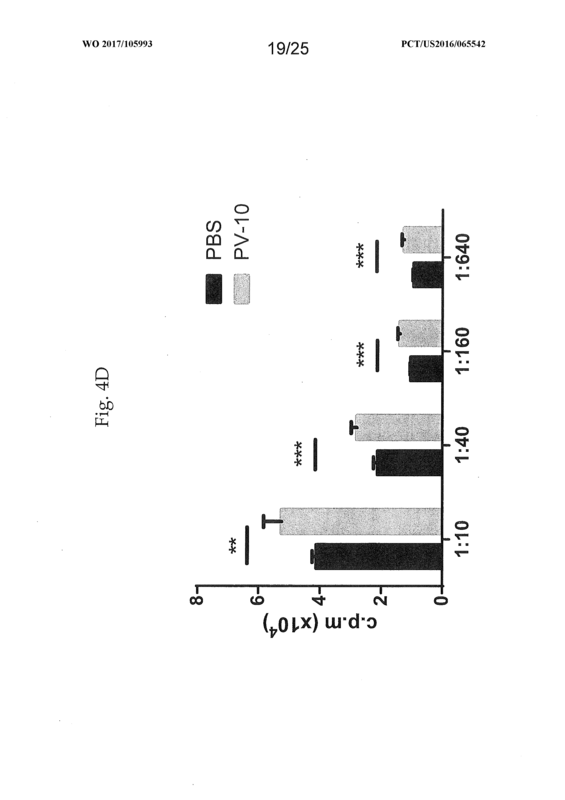 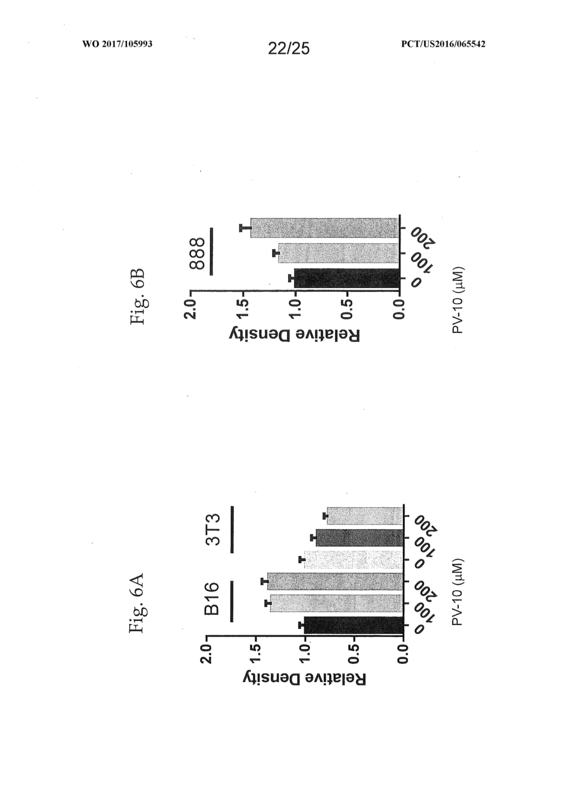 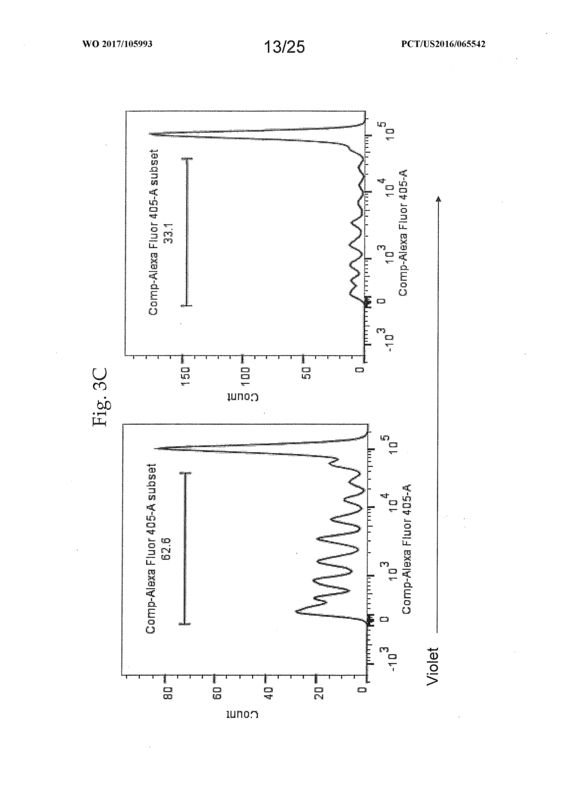 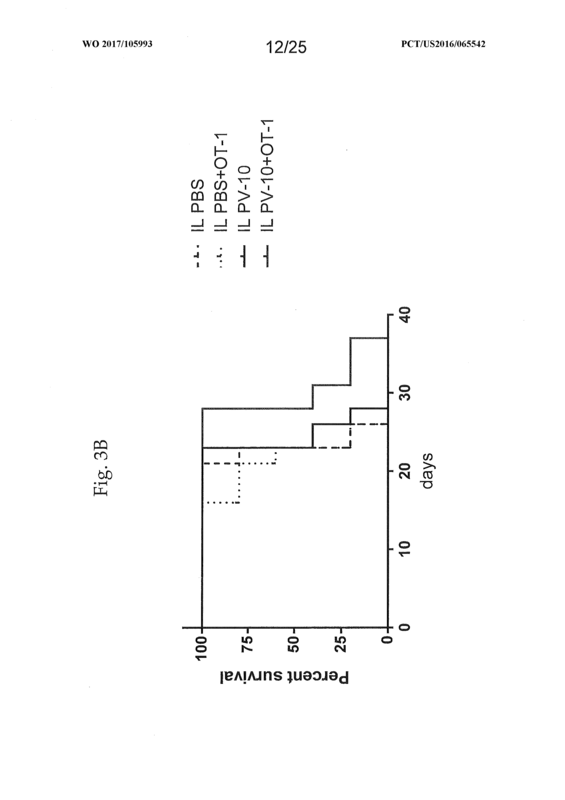 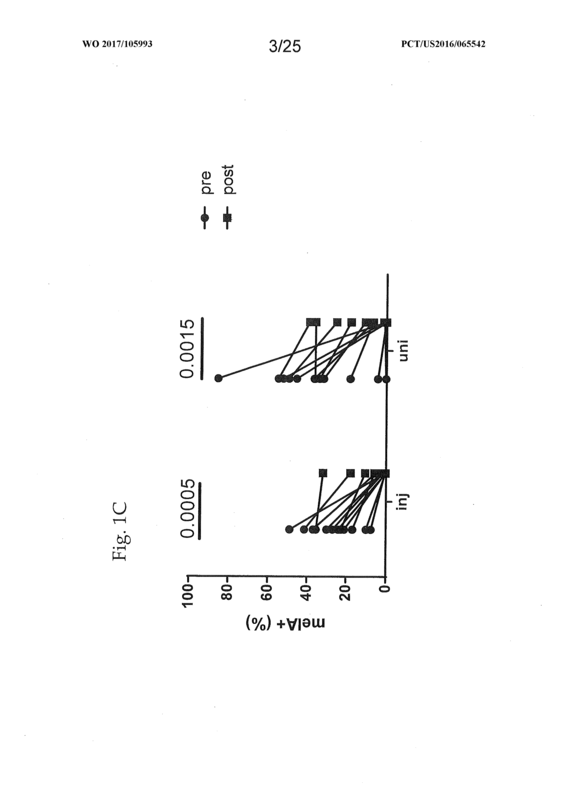 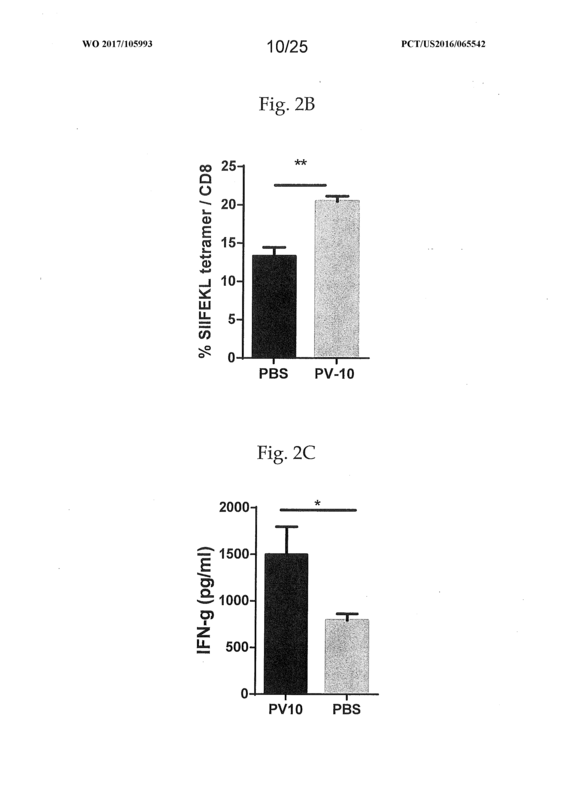 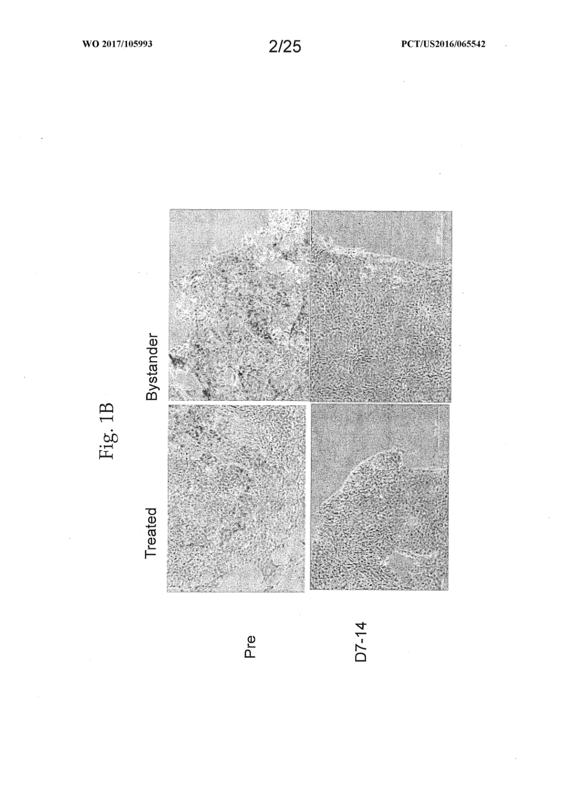 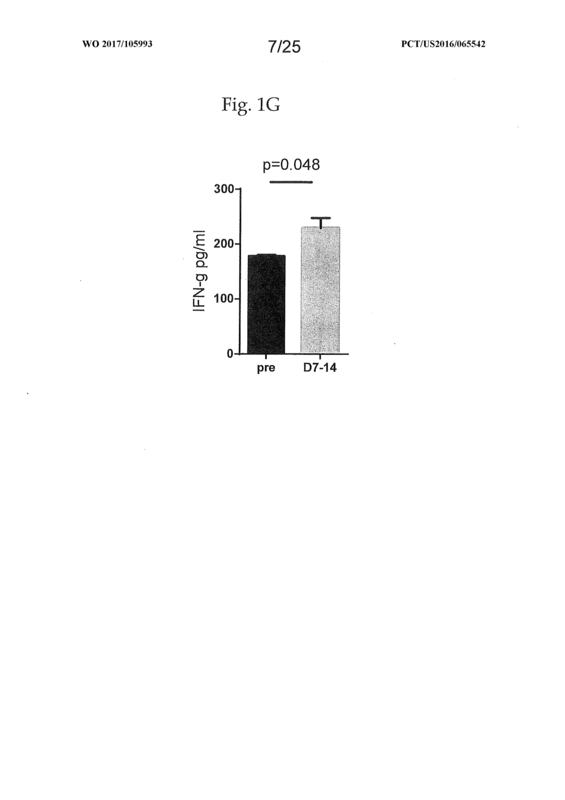 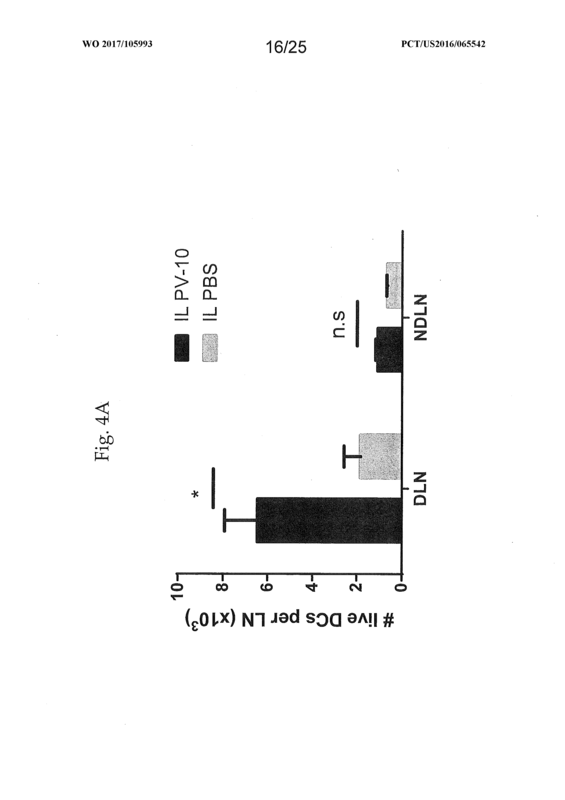 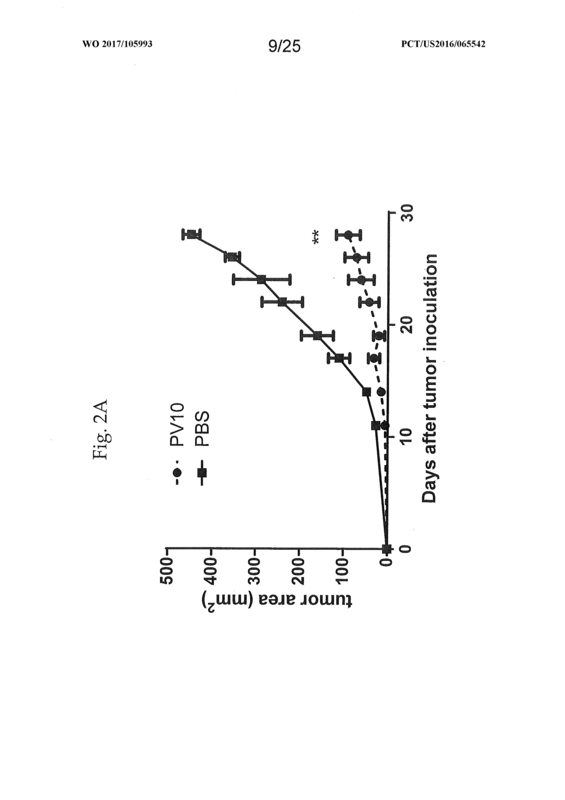 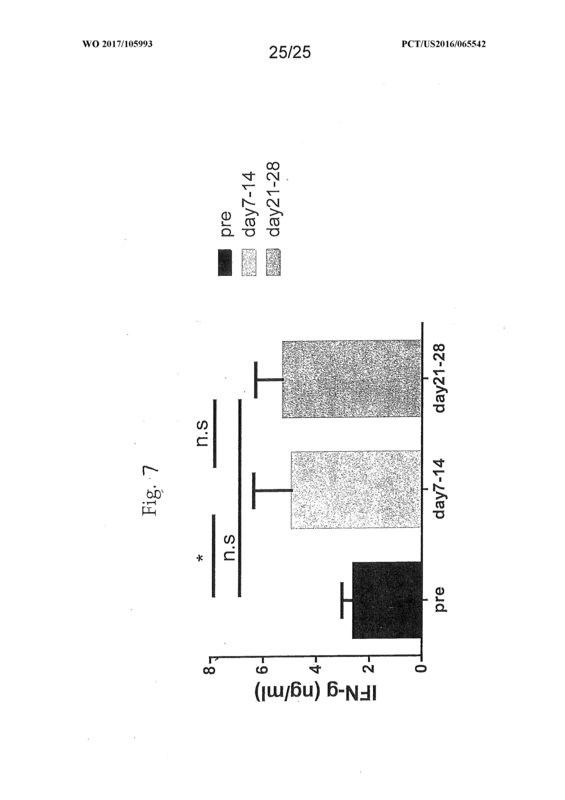 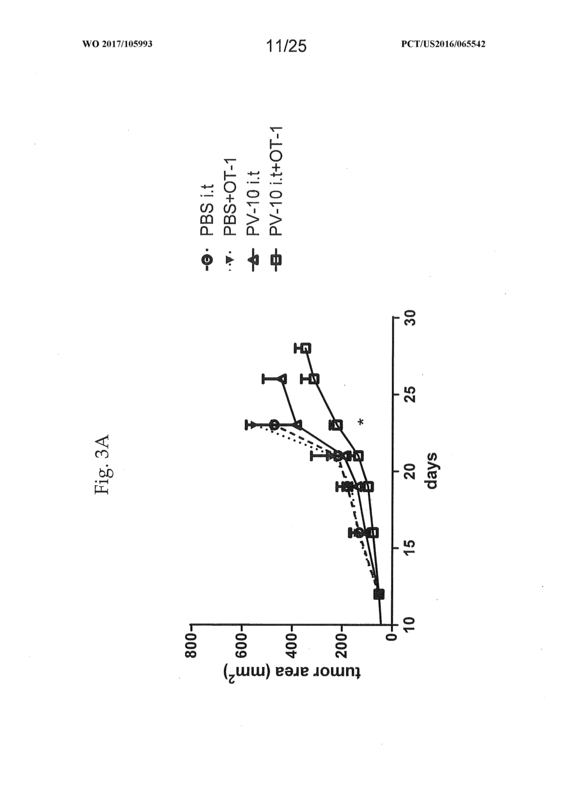 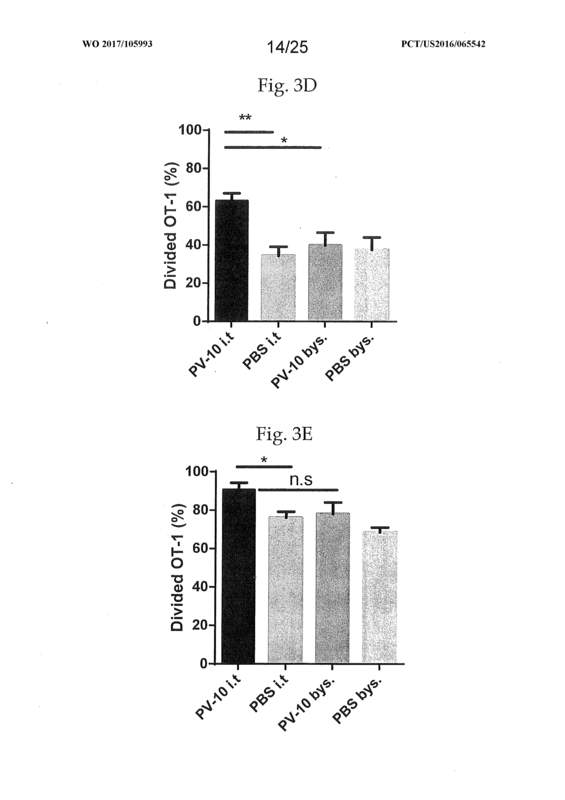 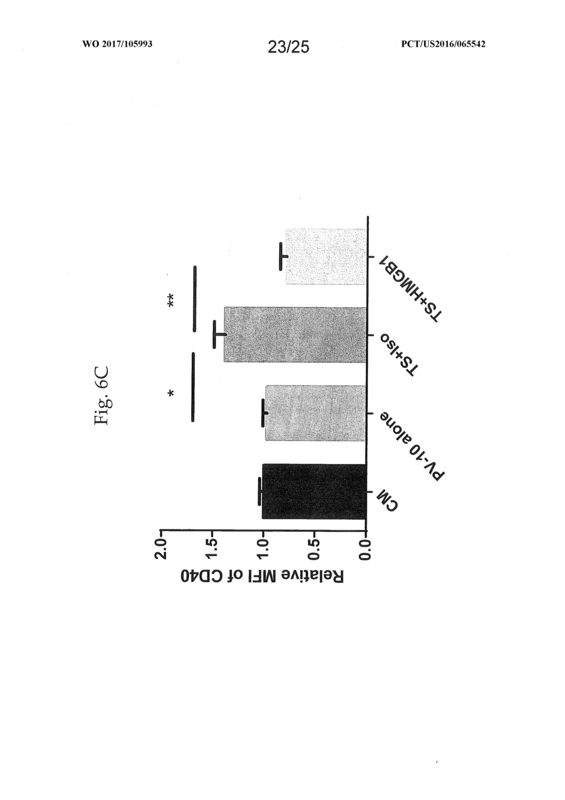 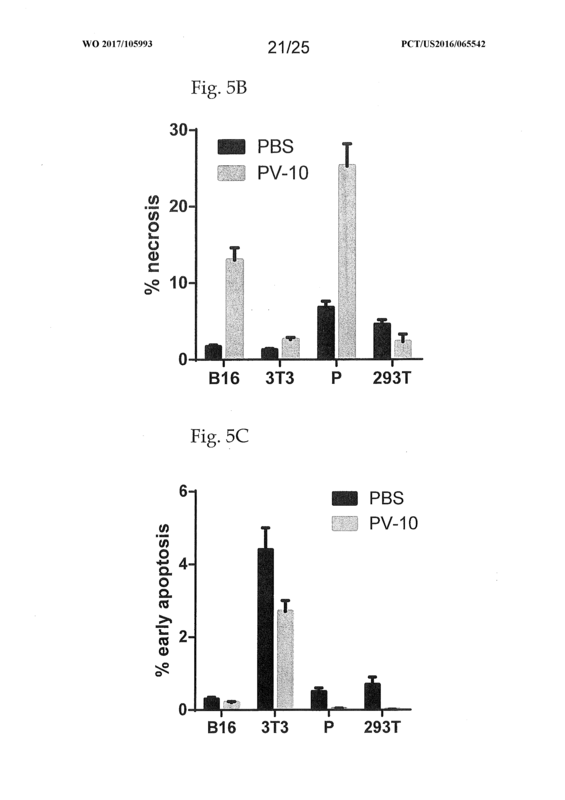 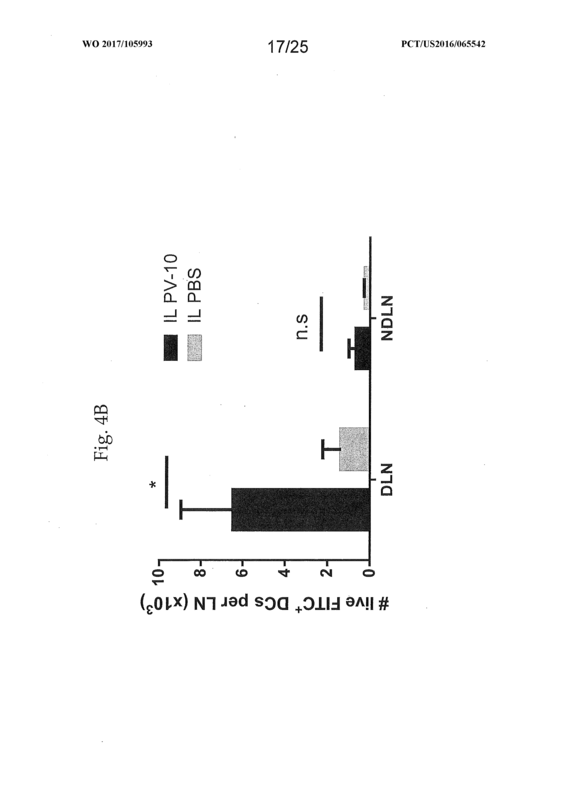 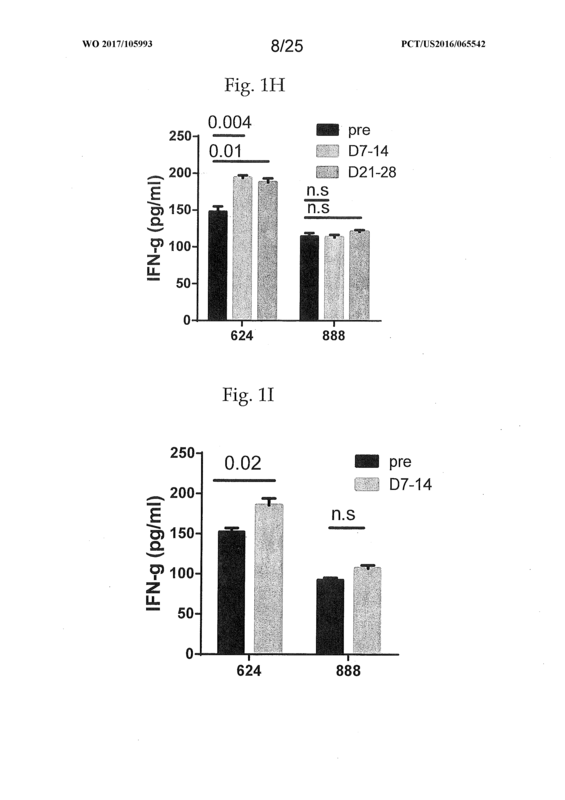 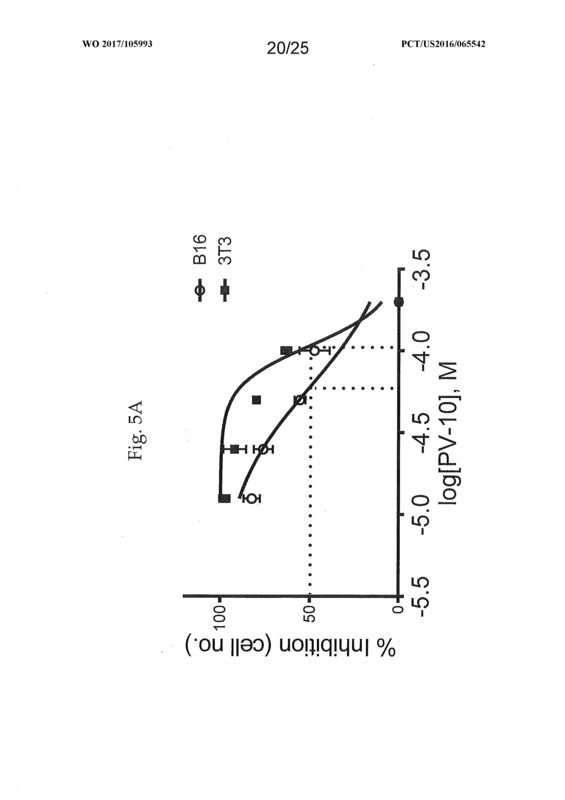 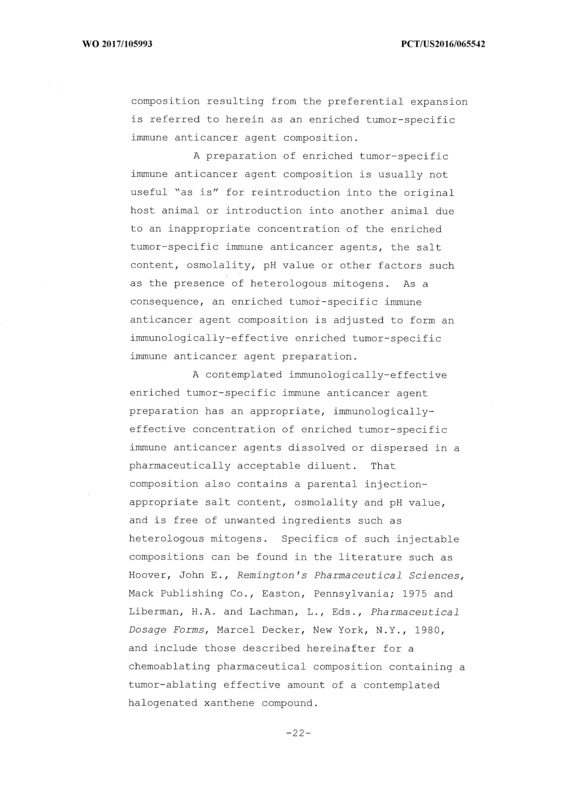 That composition is reintroduced in to the host from which the predecessor induced immune anticancer agents were taken, or into another immunologically suitable host in need. 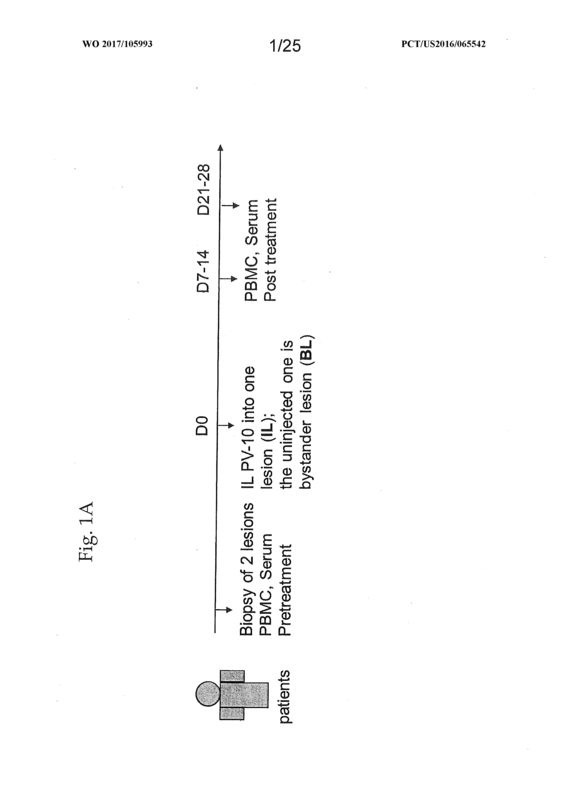 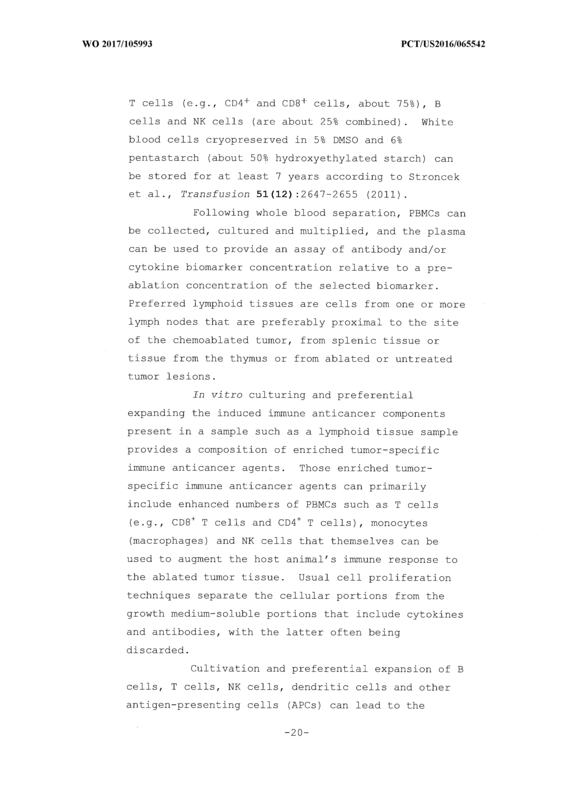 (D) culturing and preferentially expanding in vitro said induced immune anticancer components present in said sample to form an enriched tumor- specific immune anticancer agent composition. 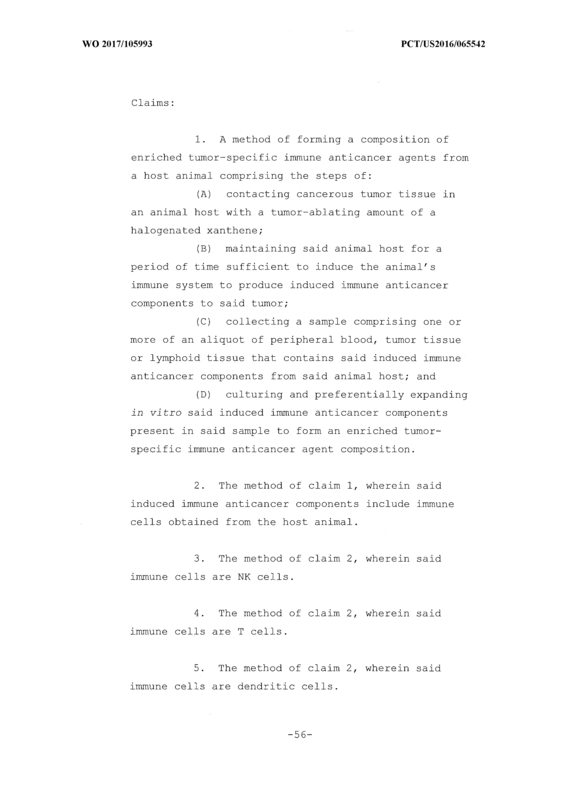 The method of claim 1, wherein said induced immune anticancer components include immune cells obtained from the host animal. 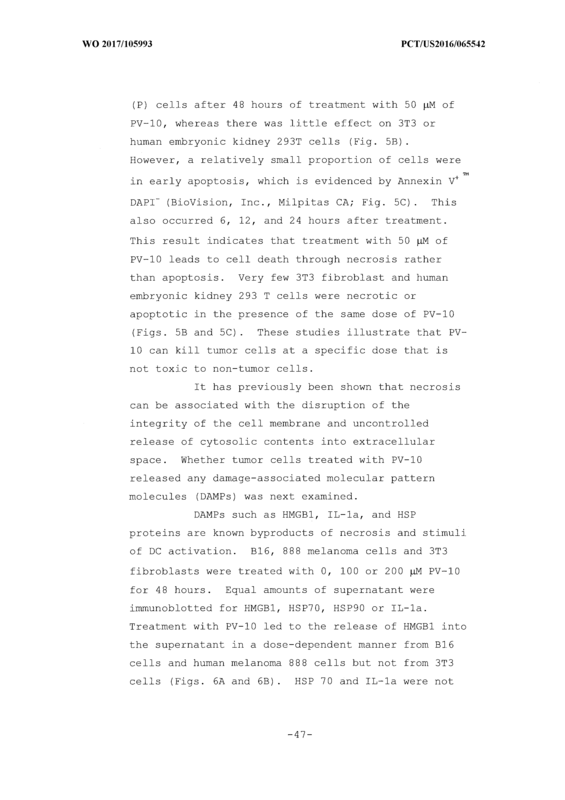 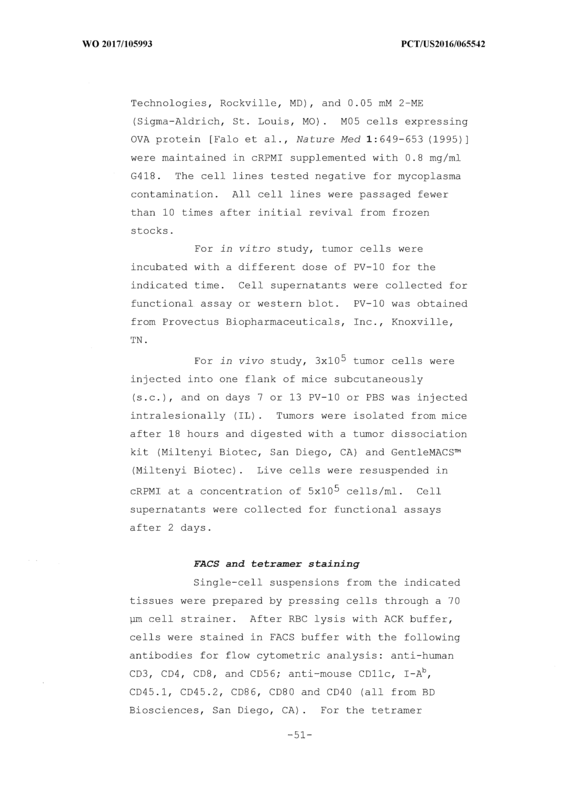 The method of claim 2, wherein said immune cells are NK cells. 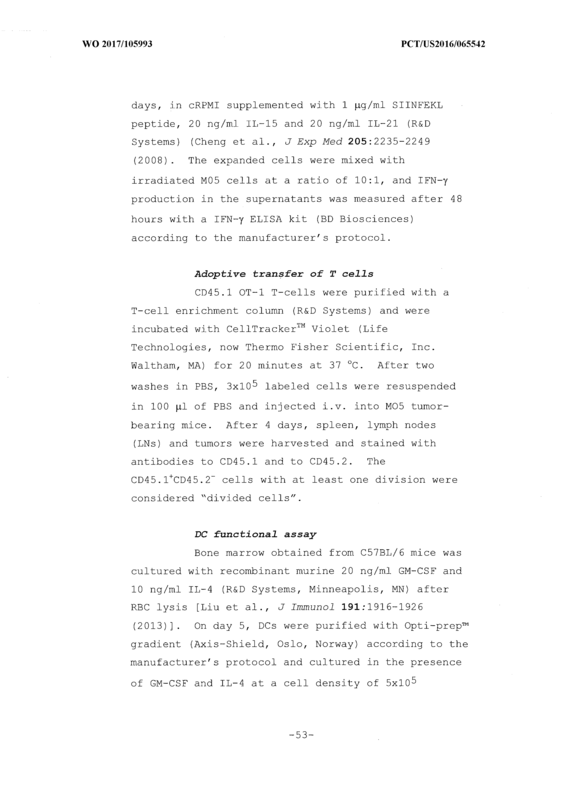 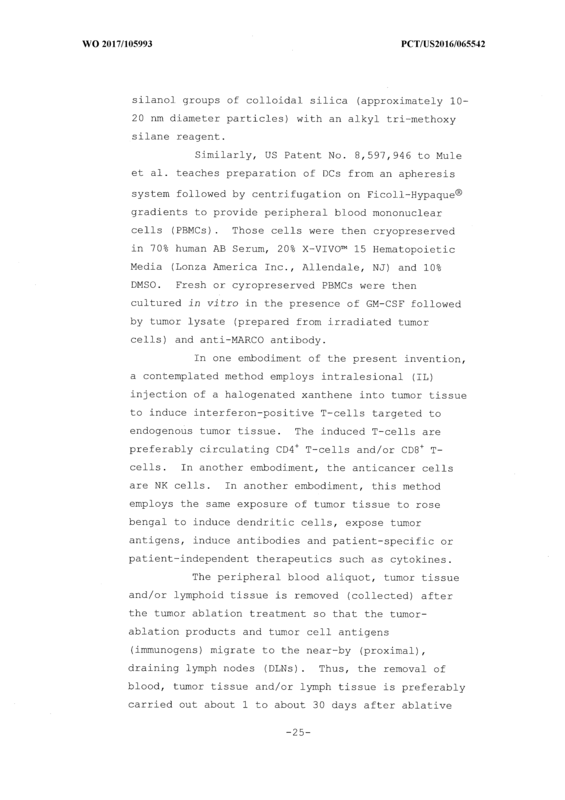 The method of claim 2, wherein said immune cells are T cells. 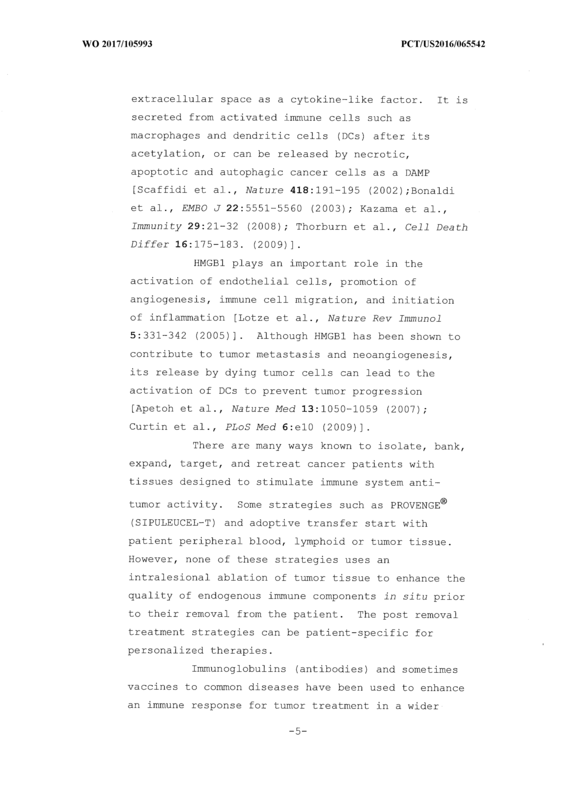 The method of claim 2, wherein said immune cells are dendritic cells. 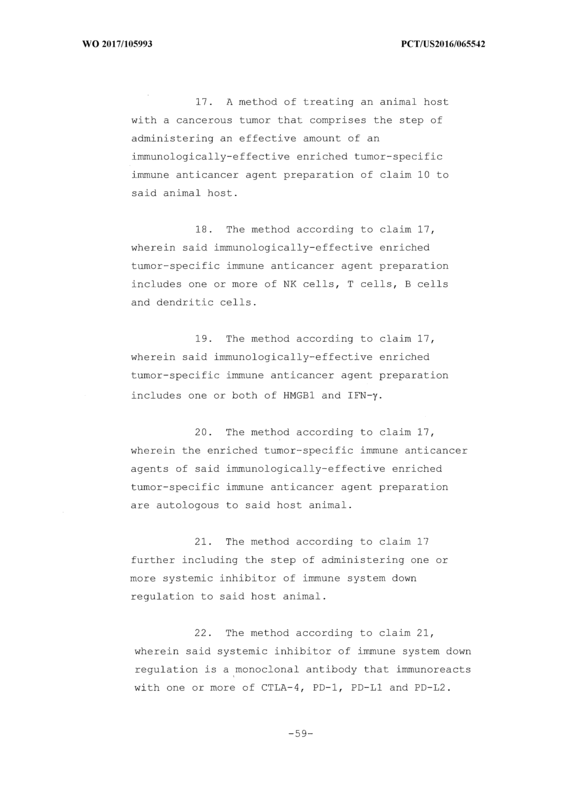 The method of claim 2, wherein said immune cells are B cells. 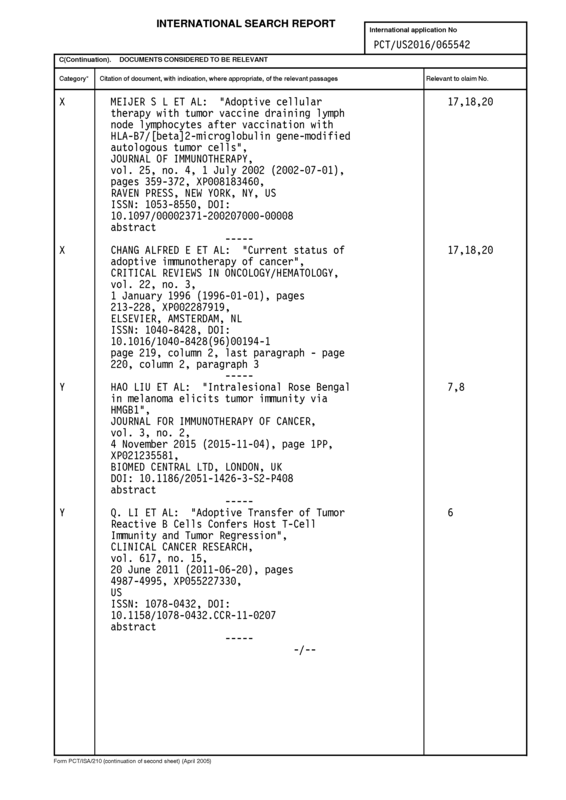 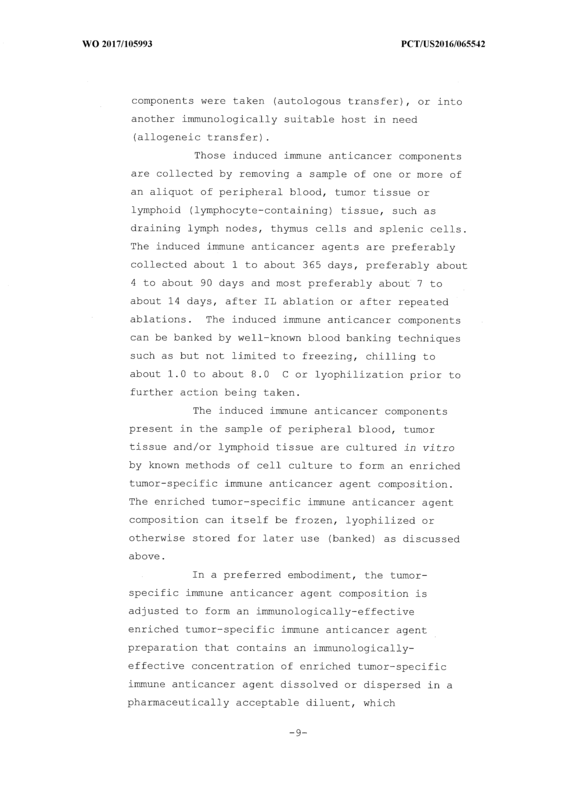 The method of claim 1, wherein said induced immune anticancer components include antitumor antibodies and cytokines. 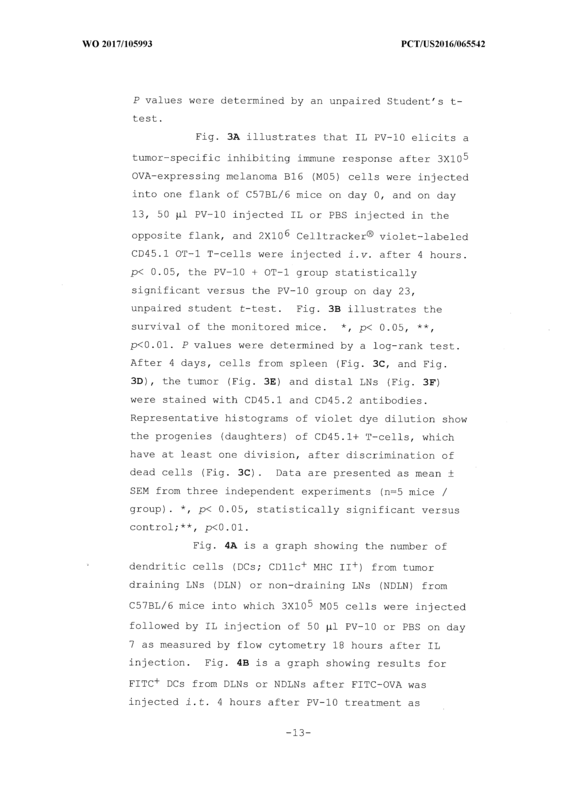 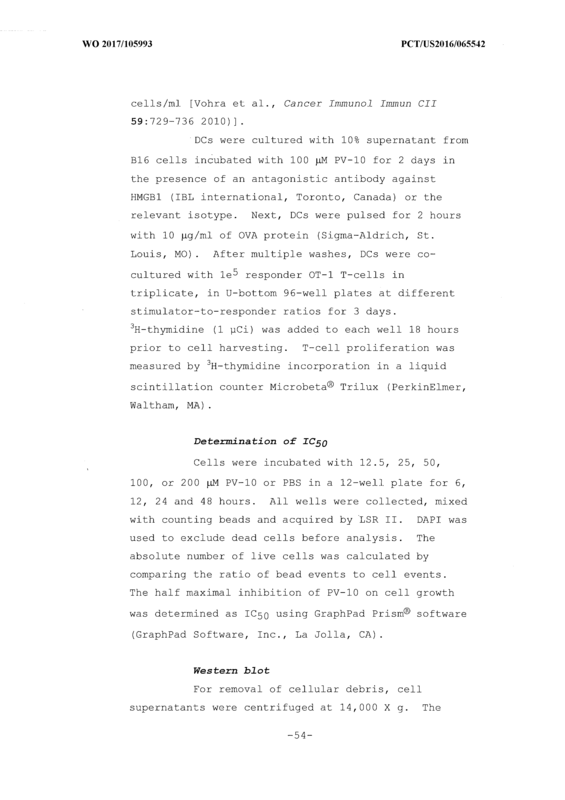 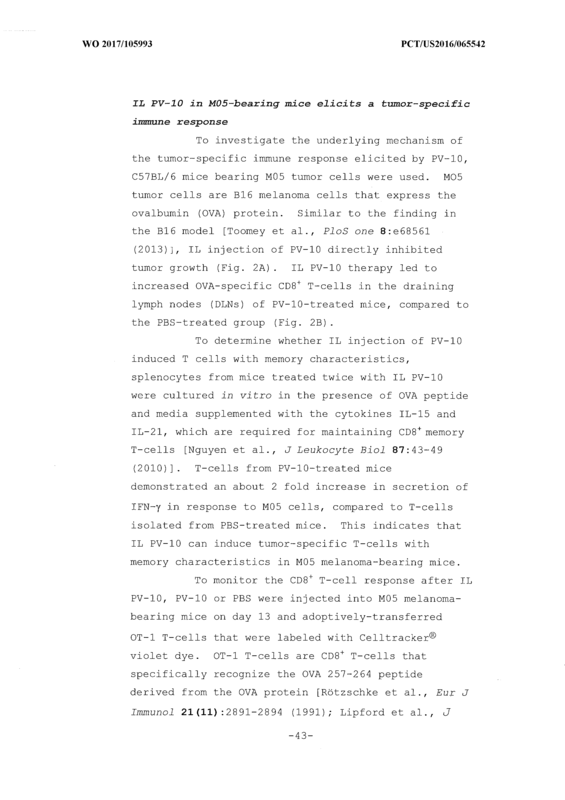 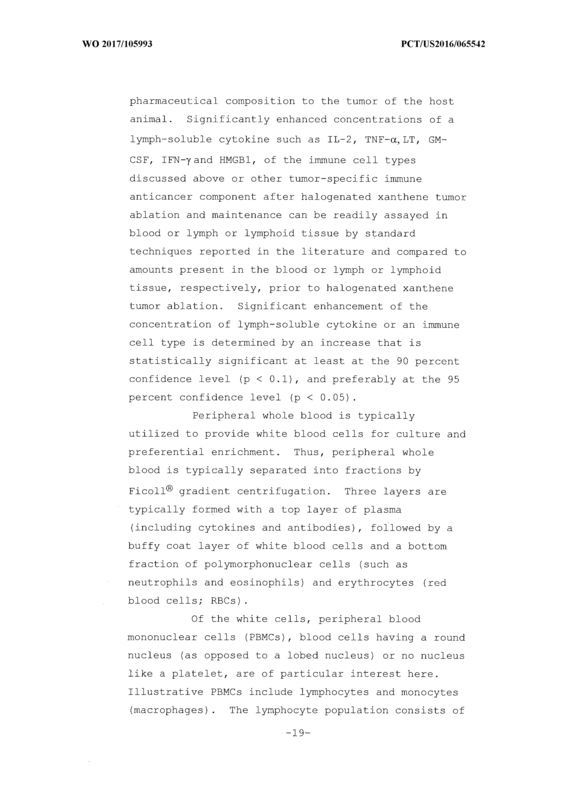 The method of claim 7, wherein said cytokines include HMGBl . 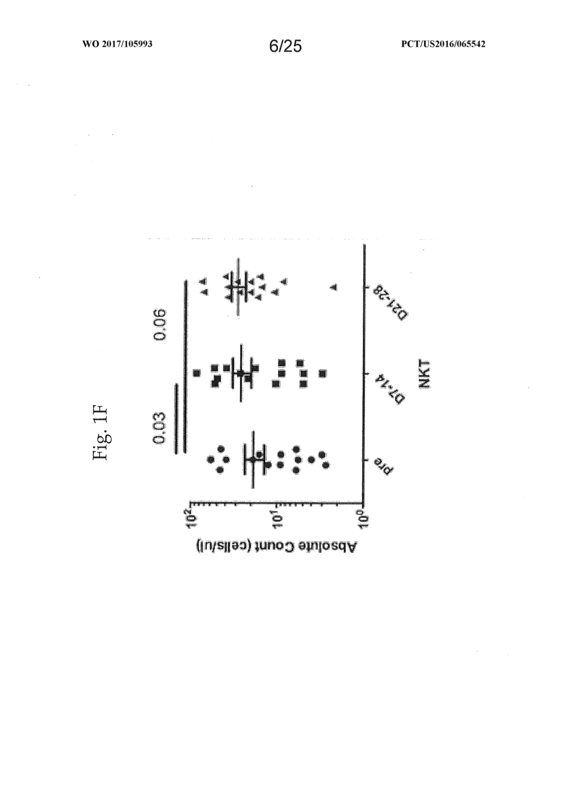 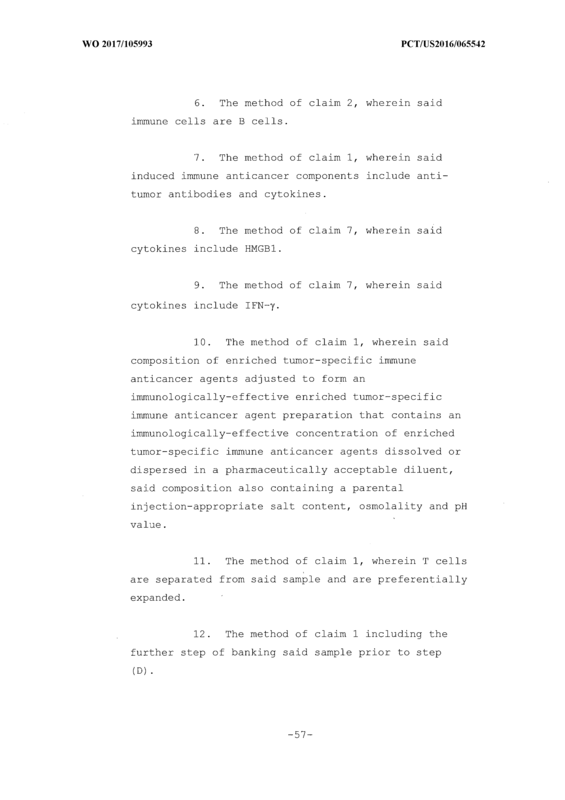 The method of claim 7, wherein said cytokines include IFN-γ. 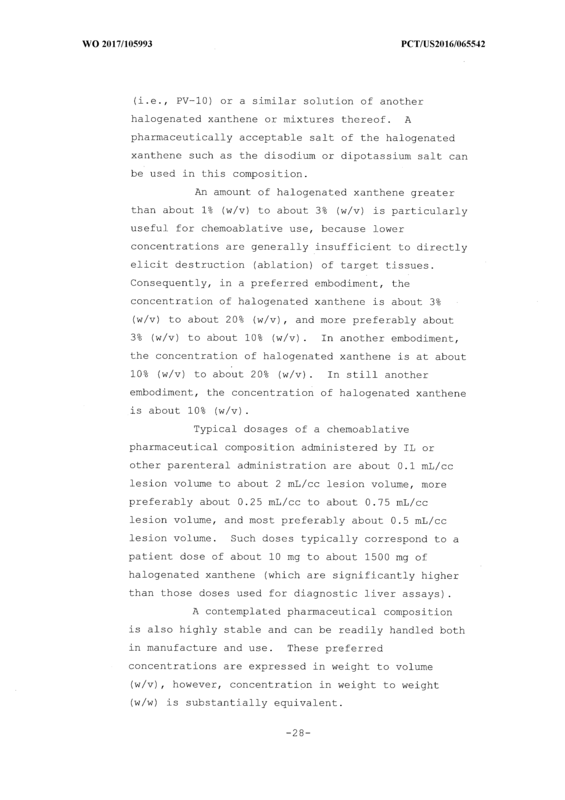 injection-appropriate salt content, osmolality and pH value . 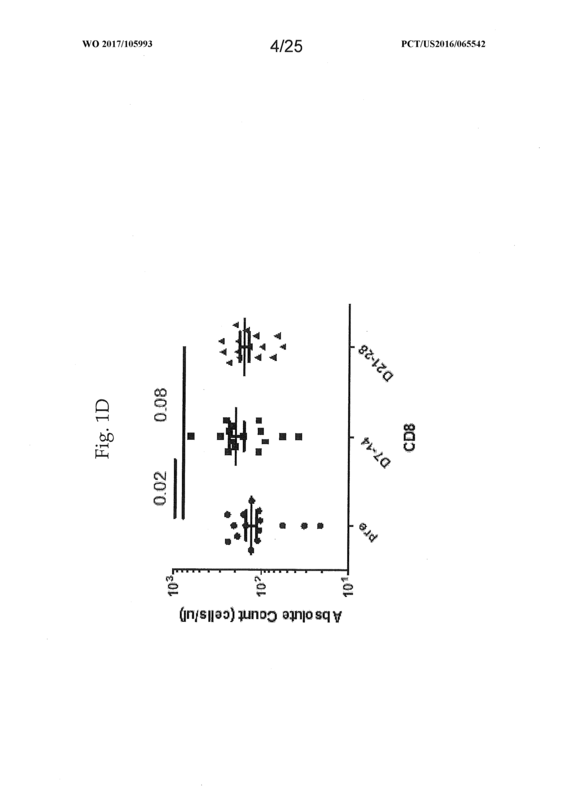 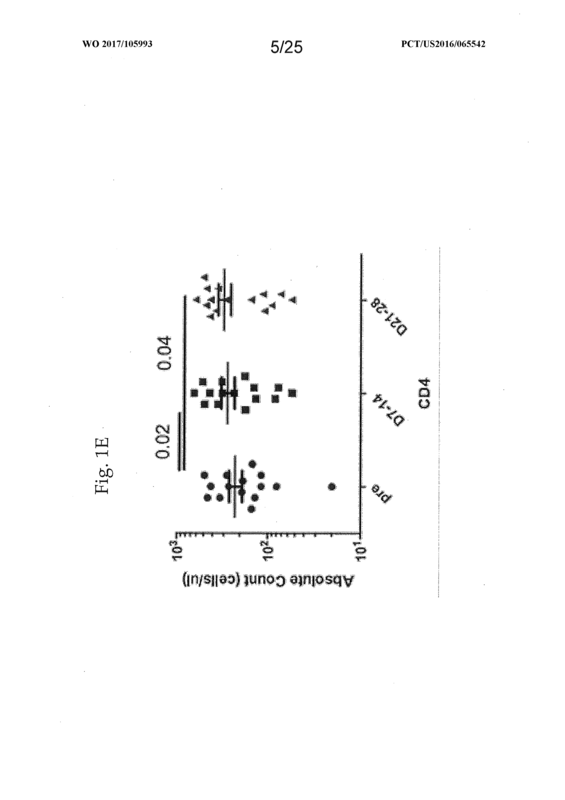 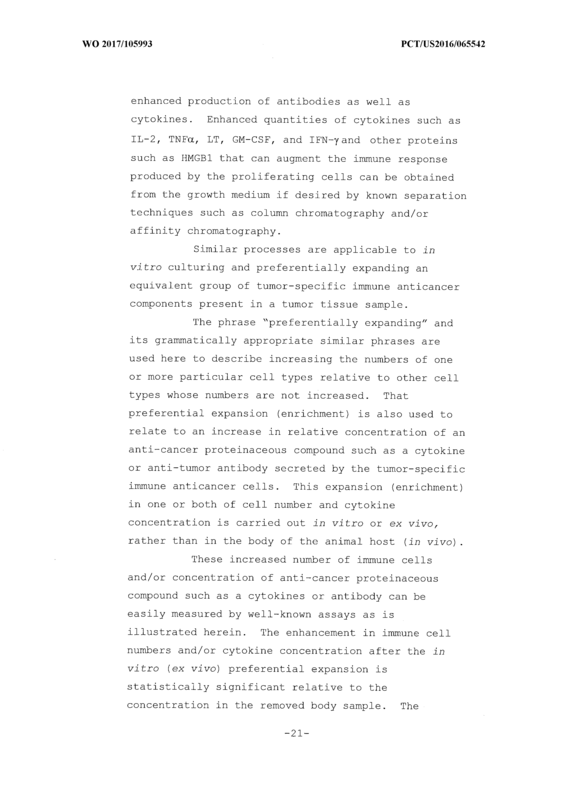 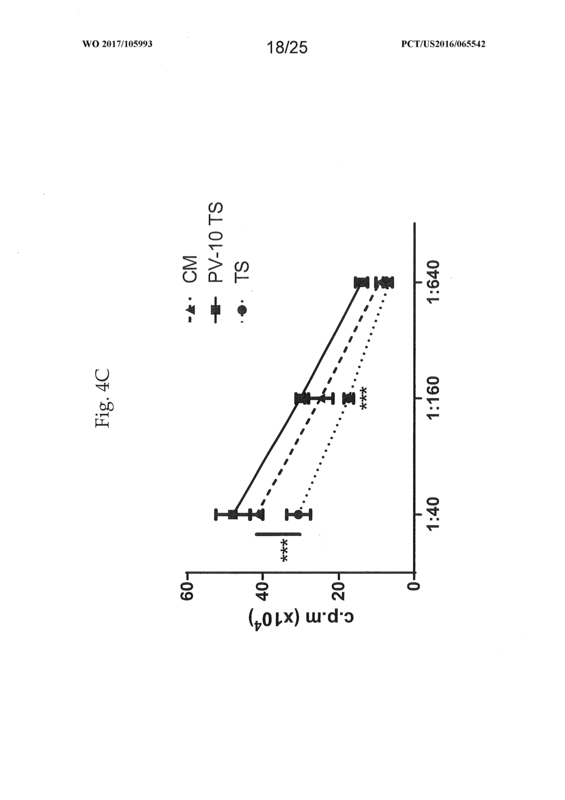 The method of claim wherein T cells are separated from said sample and e preferentially expanded. 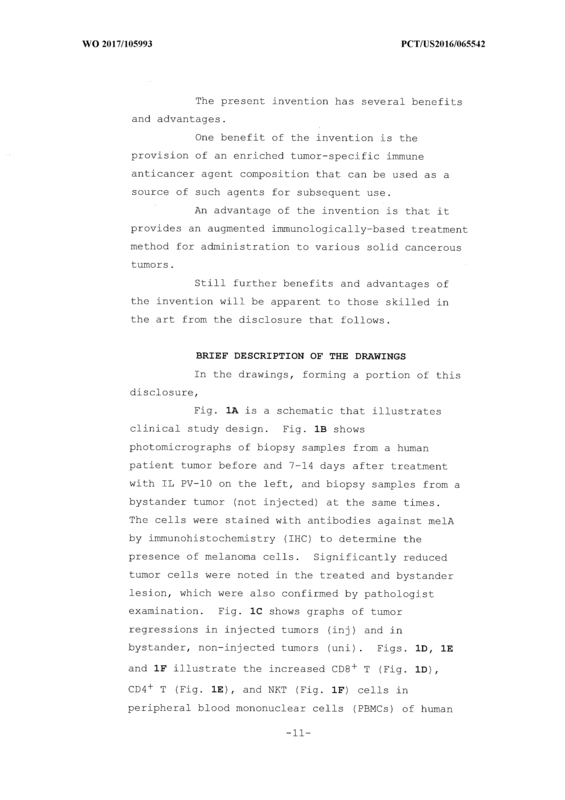 The method of claim including the further step of bai iking said sample rior to step (D) . 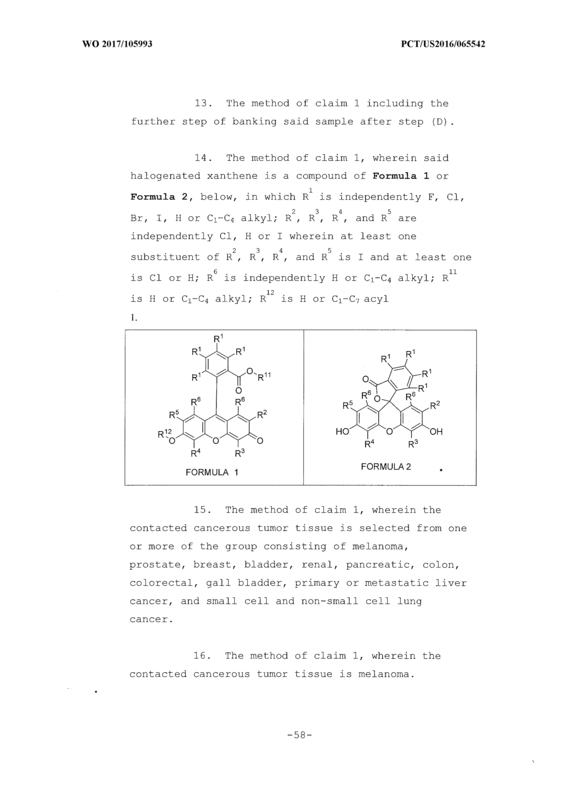 The method of claim 1 including the further step of banking said sample after step (D) . 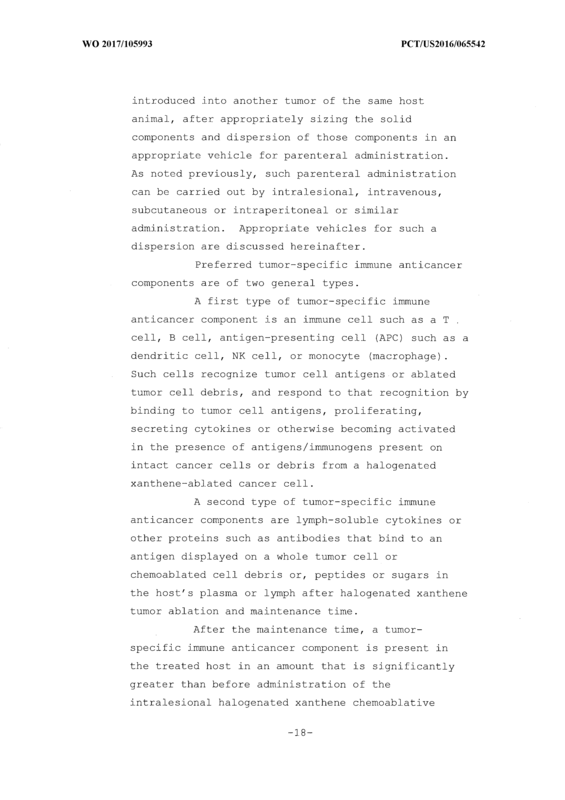 prostate, breast, bladder, renal, pancreatic, colon, colorectal, gall bladder, primary or metastatic liver cancer, and small cell and non-small cell lung cancer . 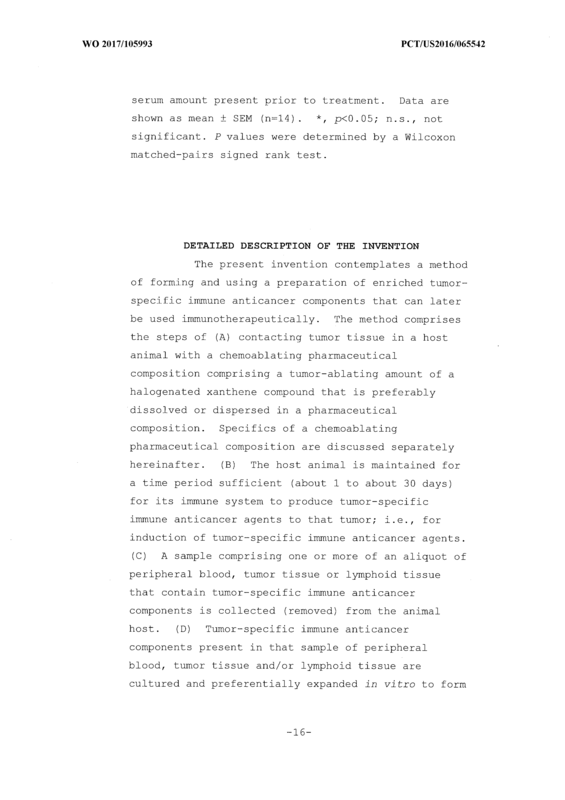 The method of claim 1, wherein the contacted cancerous tumor tissue is melanoma. 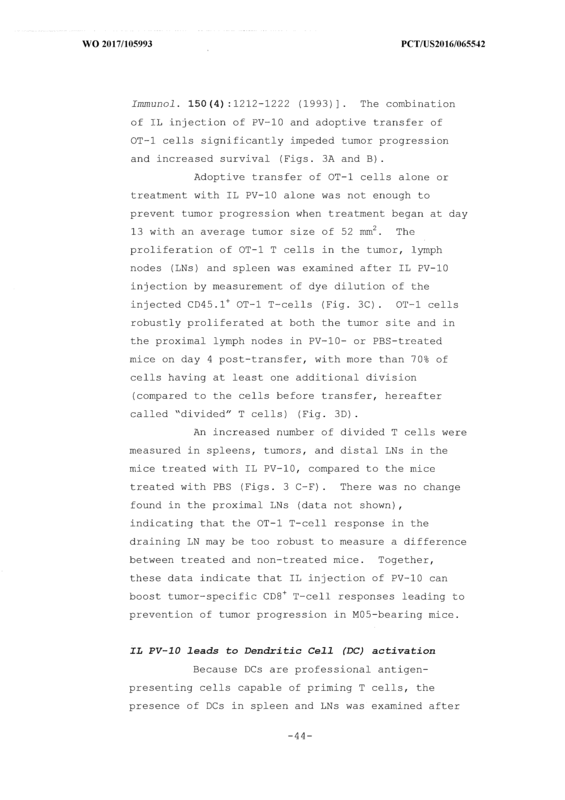 immunologically-effective enriched tumor-specific immune anticancer agent preparation of claim 10 to said animal host. 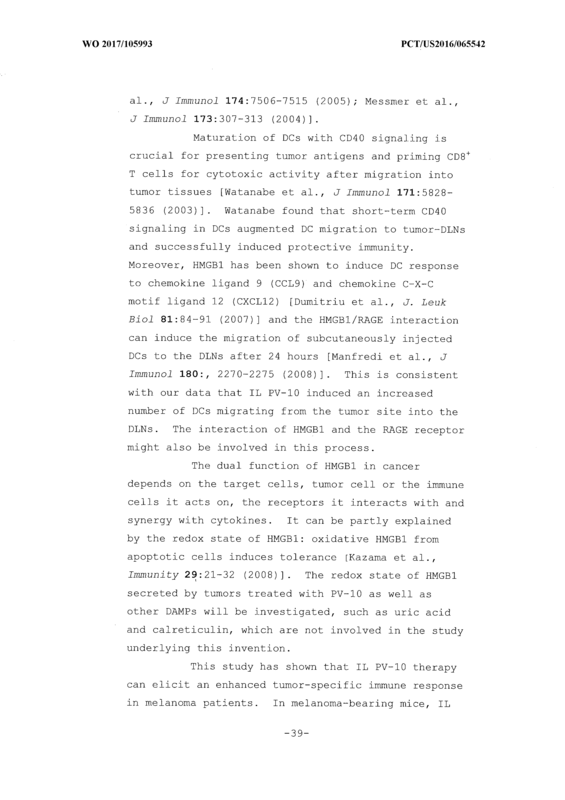 The method according to claim 17, wherein said immunologically-effective enriched tumor-specific immune anticancer agent preparation includes one or more of NK cells, T cells, B cells and dendritic cells. 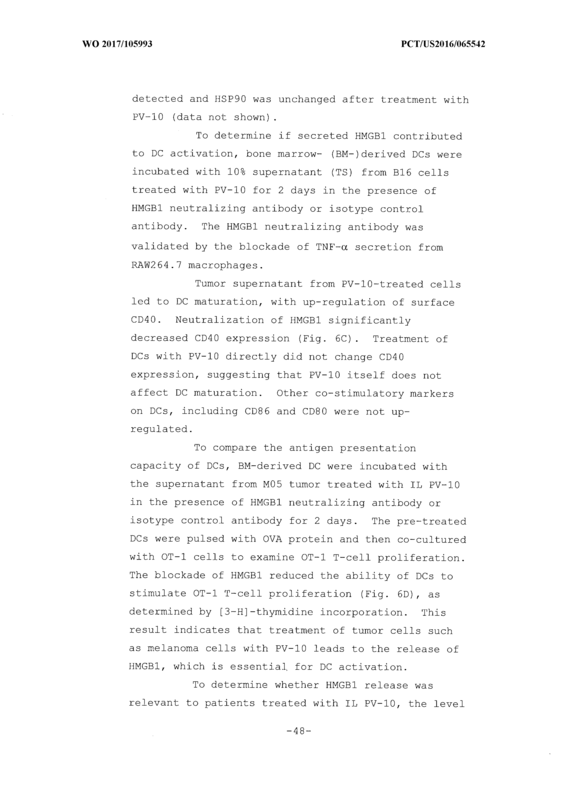 The method according to claim 17, wherein said immunologically-effective enriched tumor-specific immune anticancer agent preparation includes one or both of HMGB1 and IFN-γ. 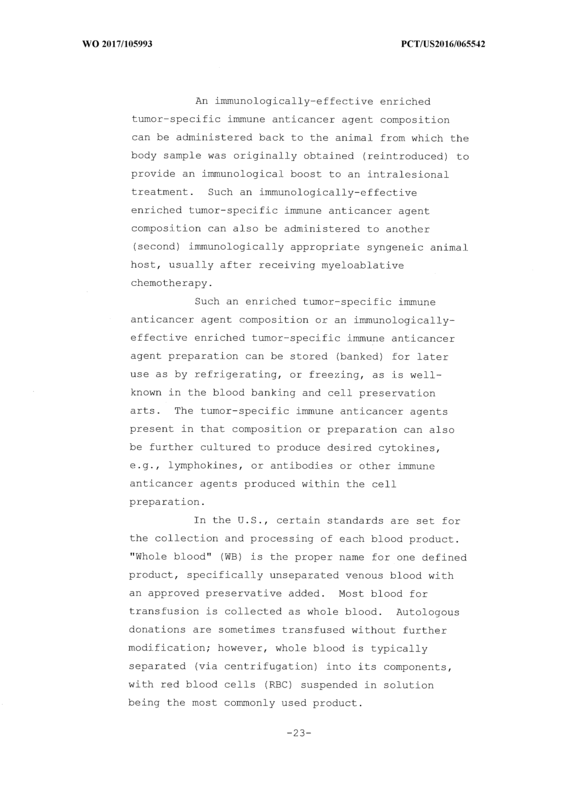 The method according to claim 17, wherein the enriched tumor-specific immune anticancer agents of said immunologically-effective enriched tumor-specific immune anticancer agent preparation are autologous to said host animal. 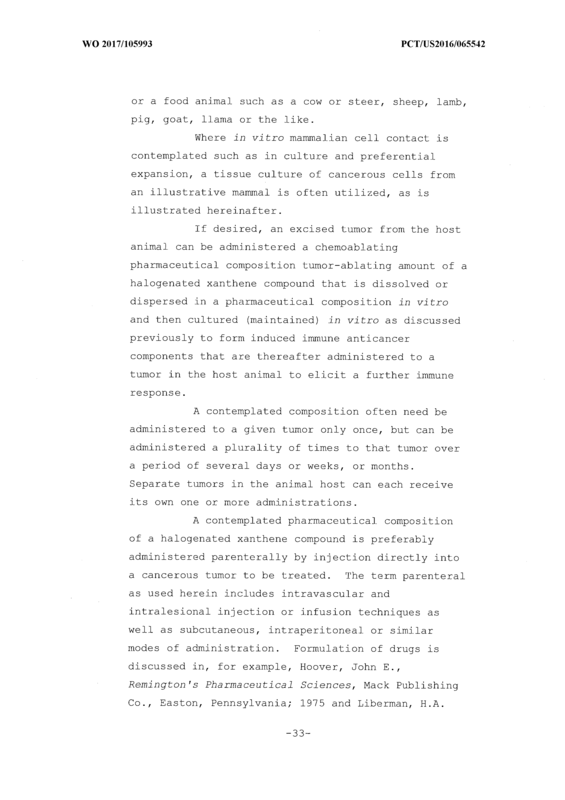 regulation to said host animal. 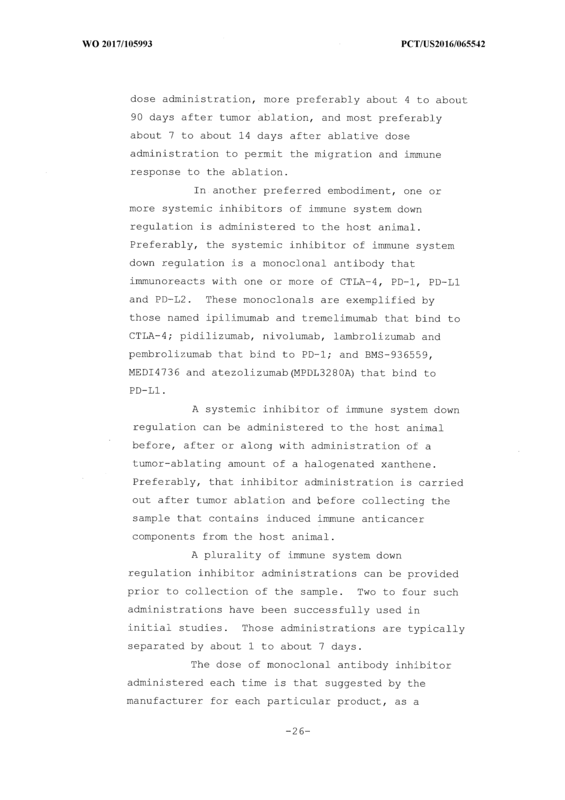 The method according to claim 21, wherein said systemic inhibitor of immune system down regulation is a monoclonal antibody that immunoreacts with one or more of CTLA-4, PD-1, PD-Ll and PD-L2. 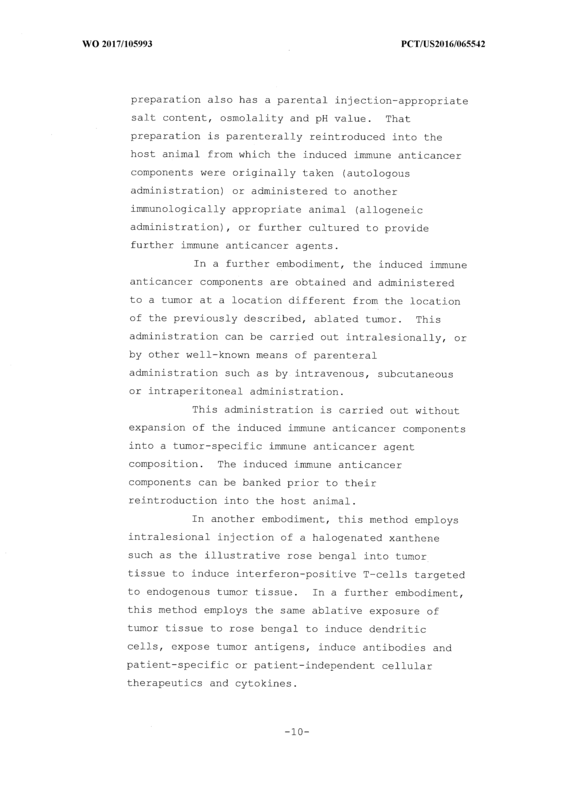 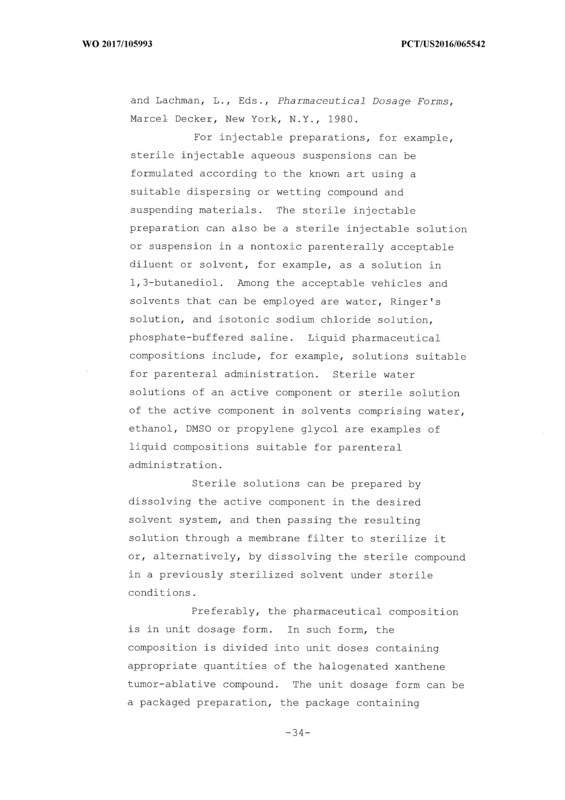 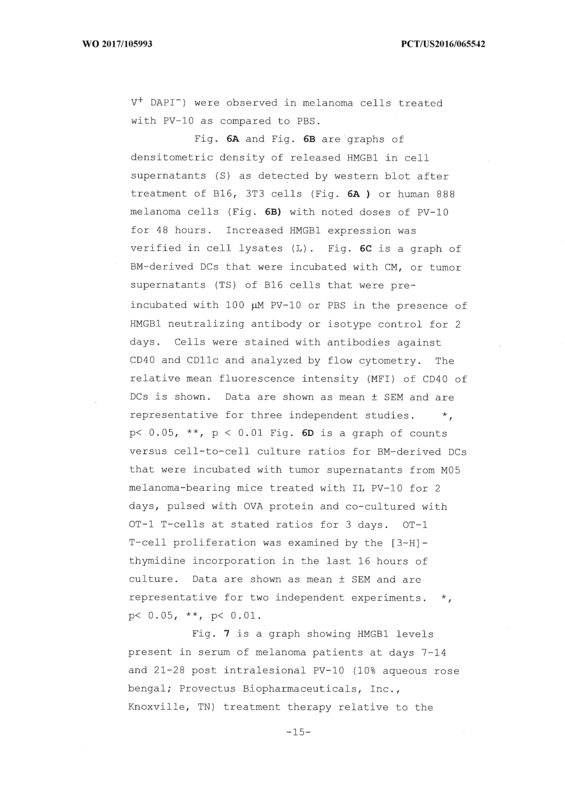 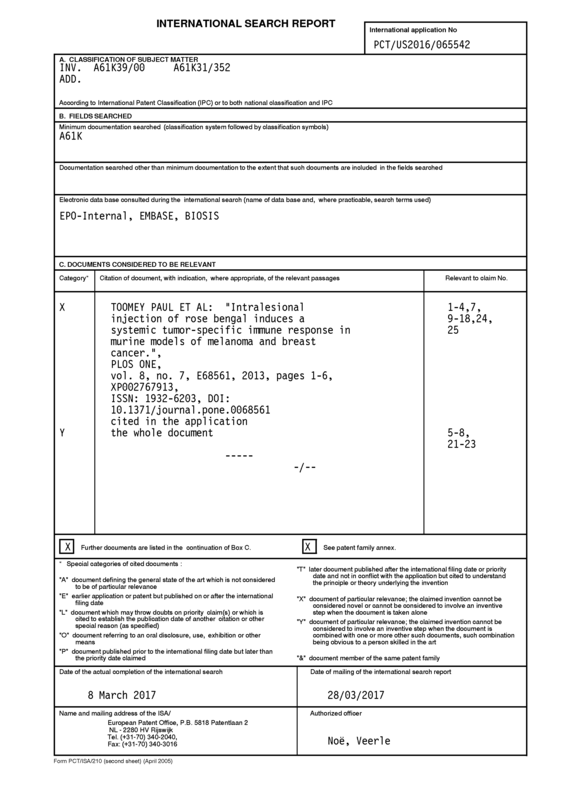 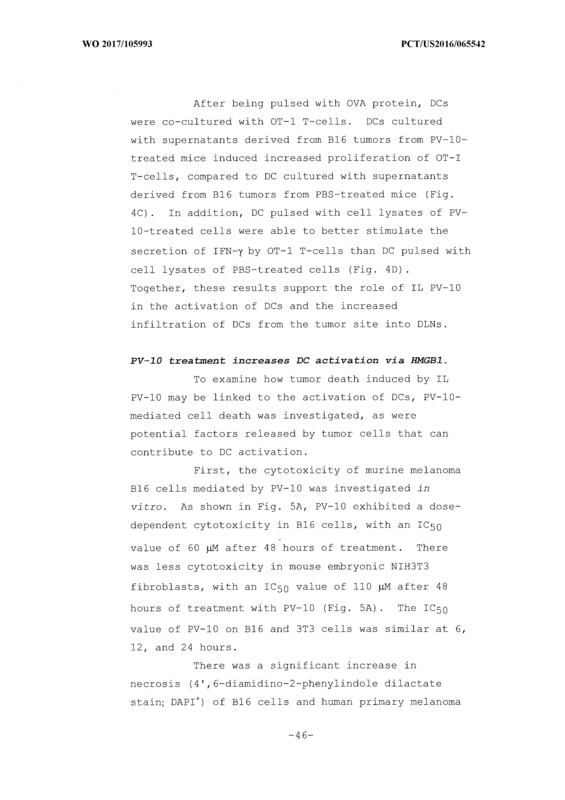 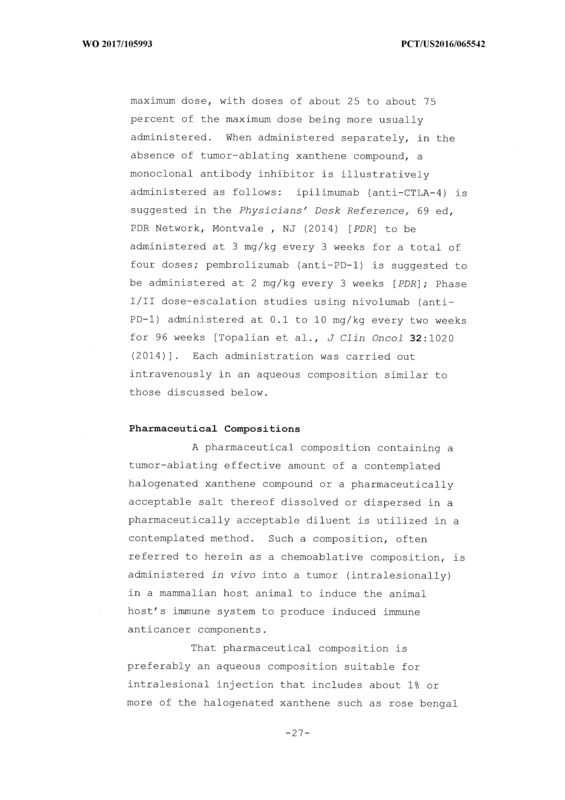 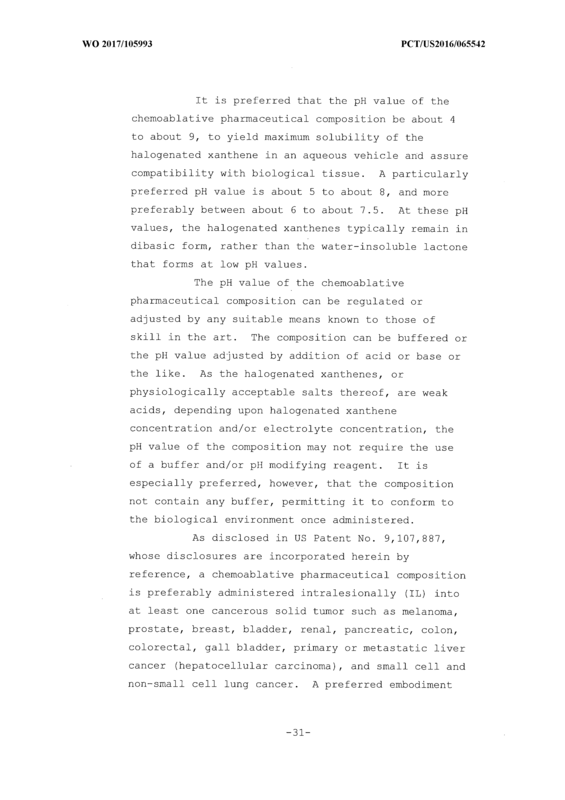 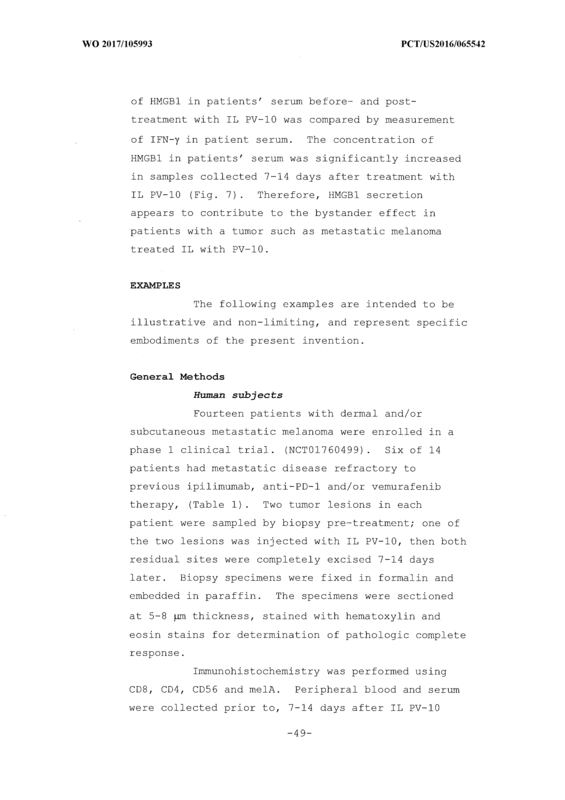 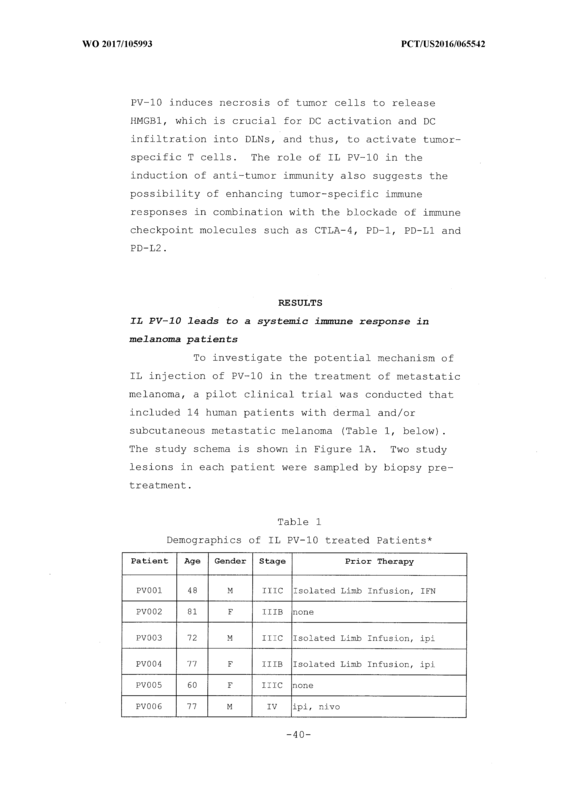 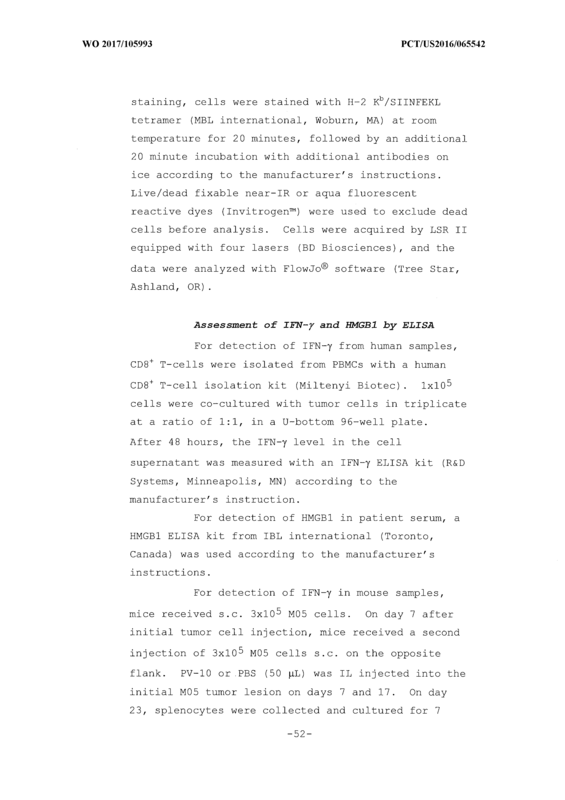 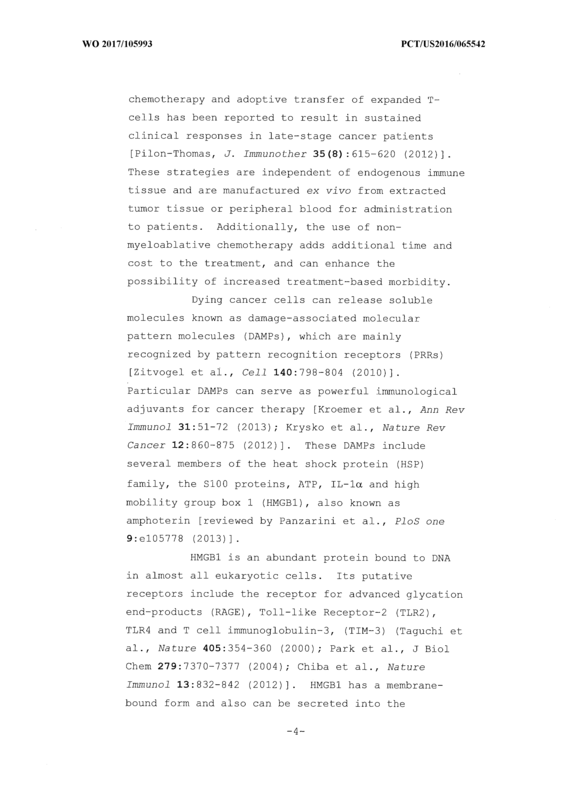 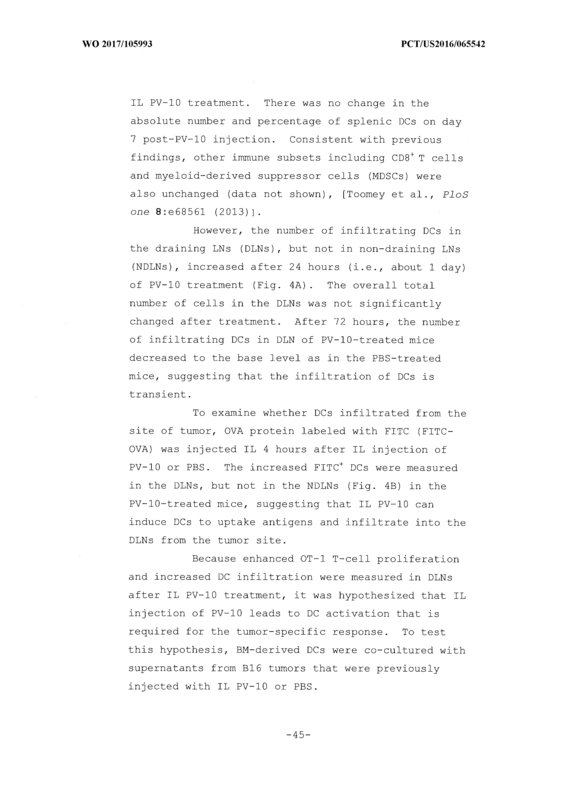 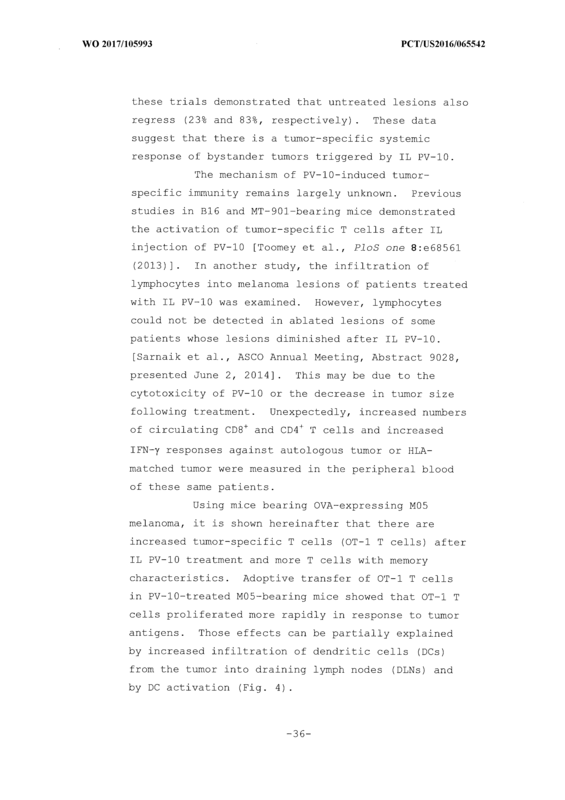 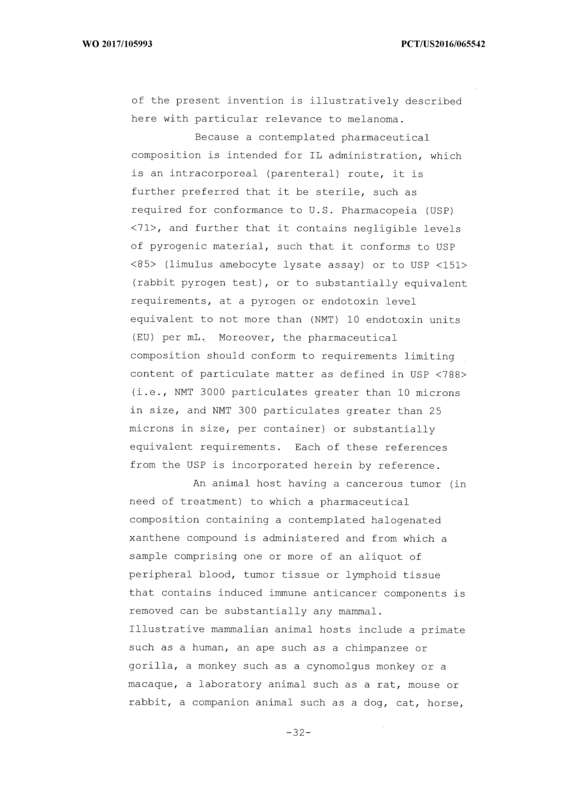 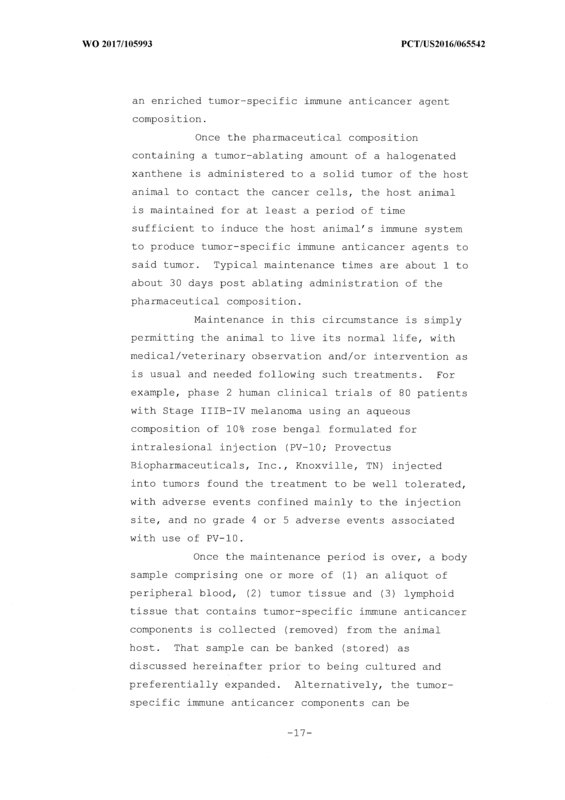 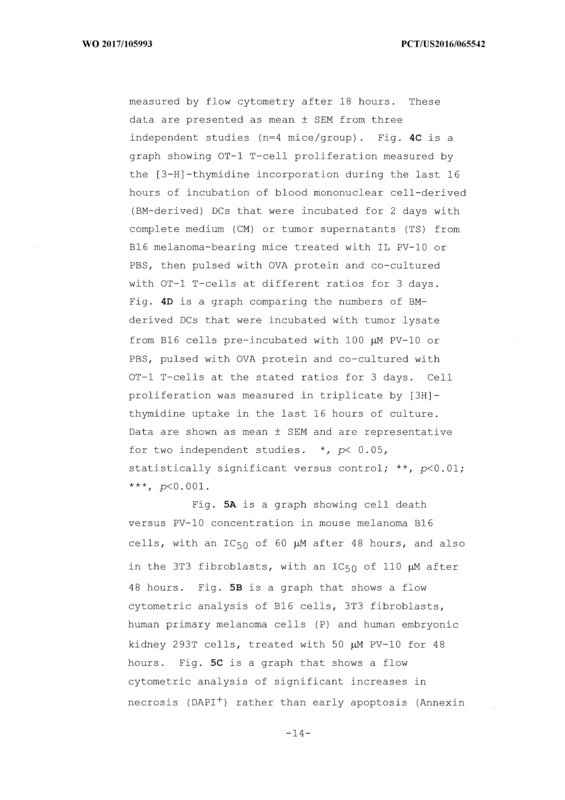 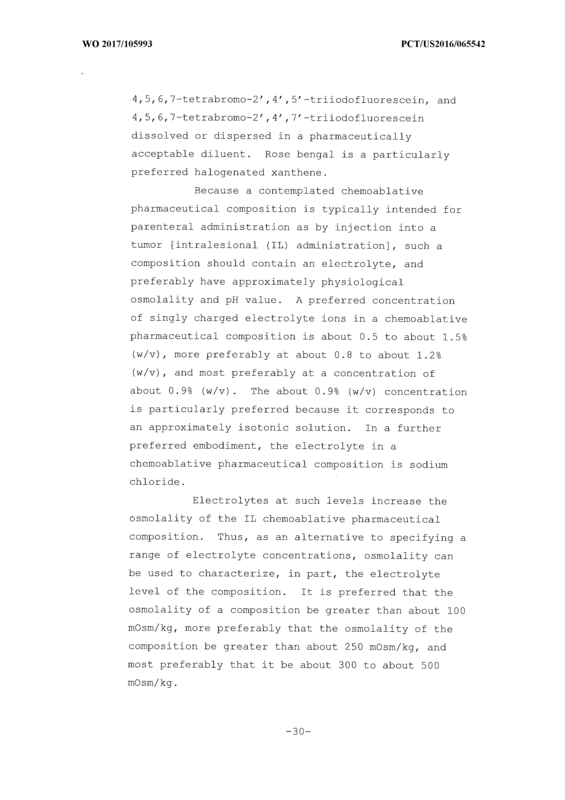 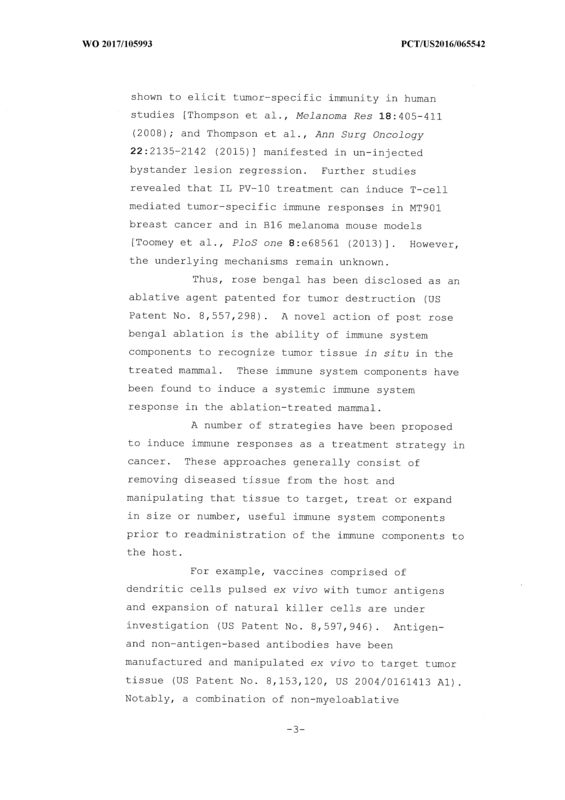 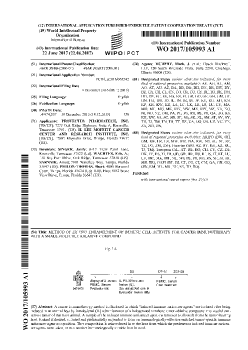 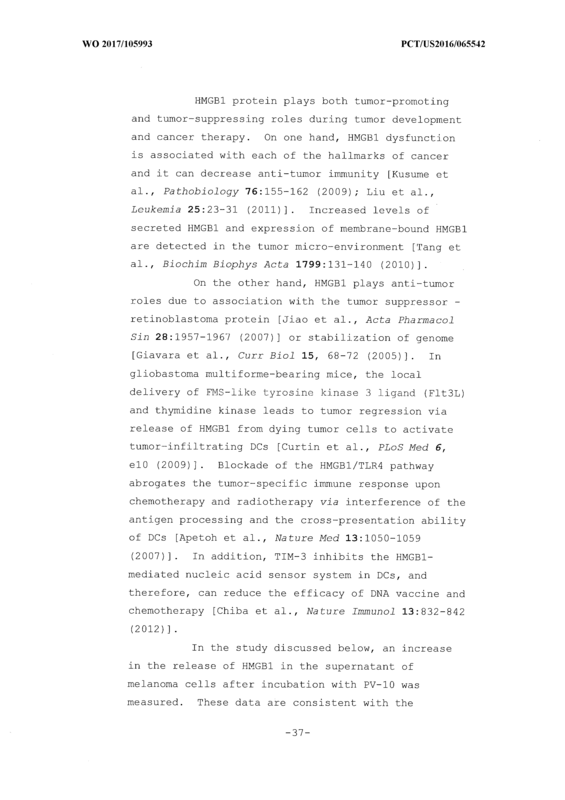 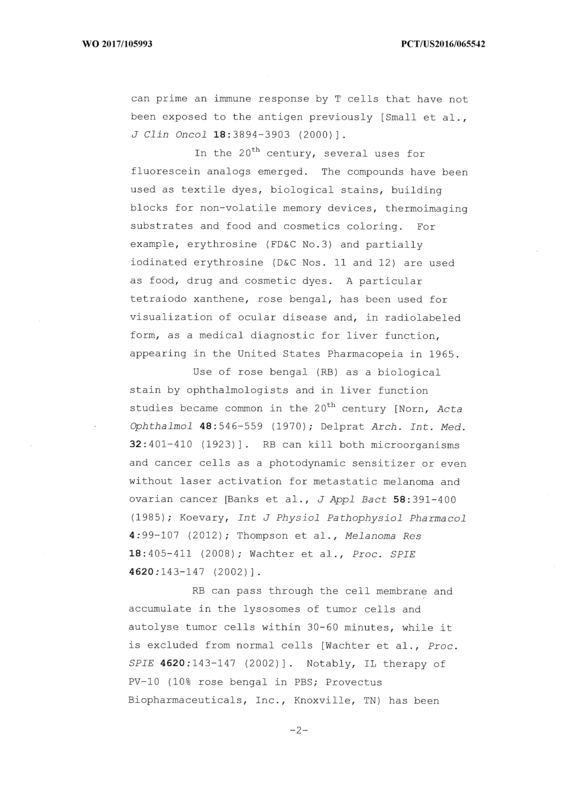 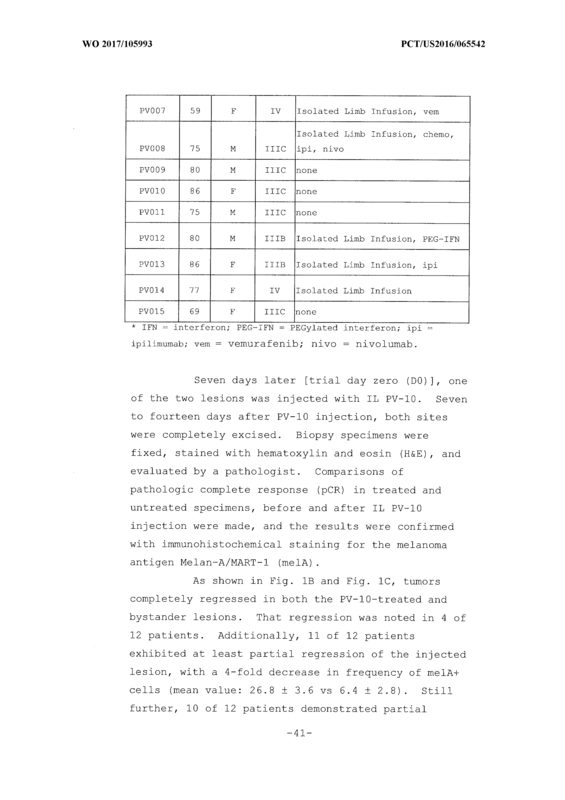 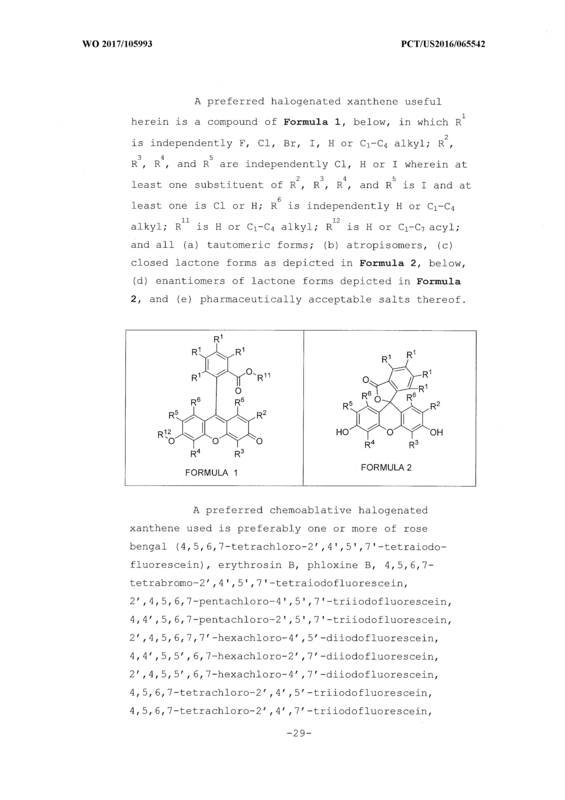 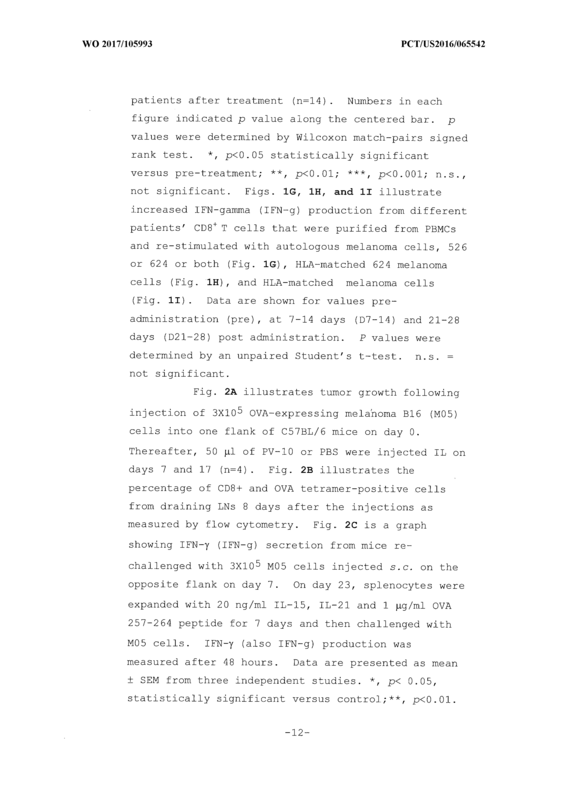 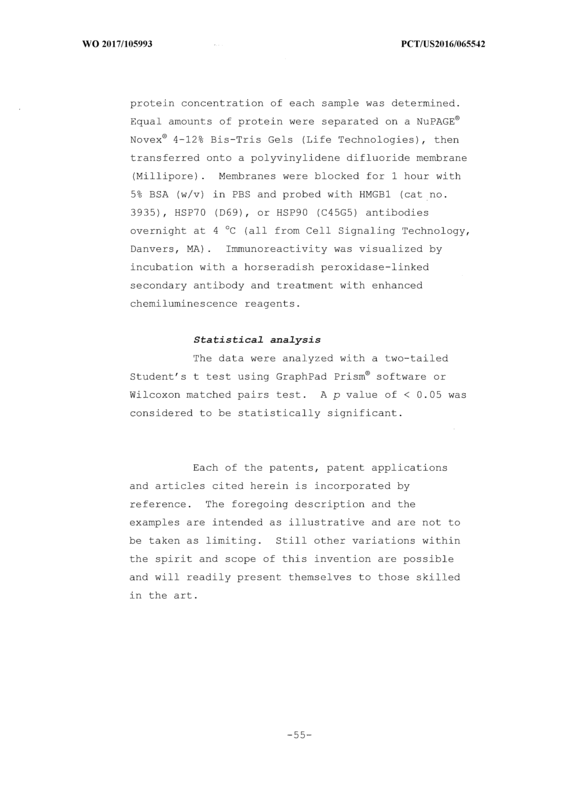 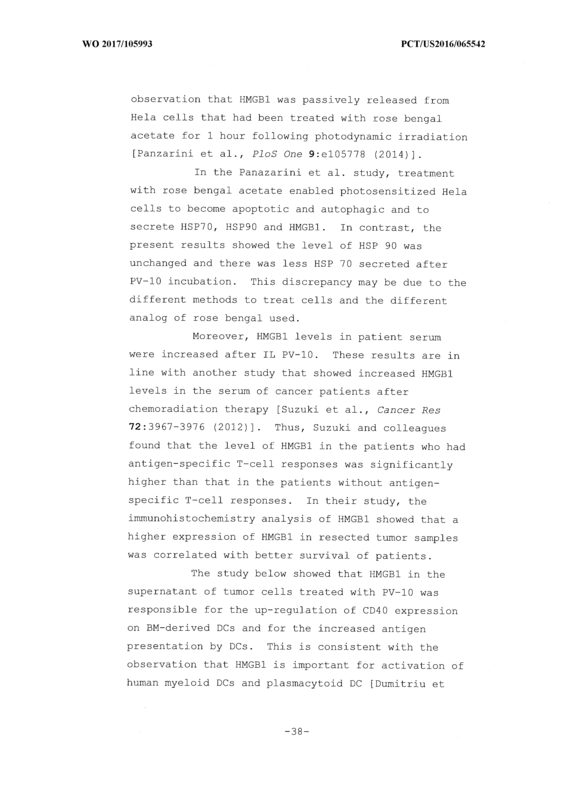 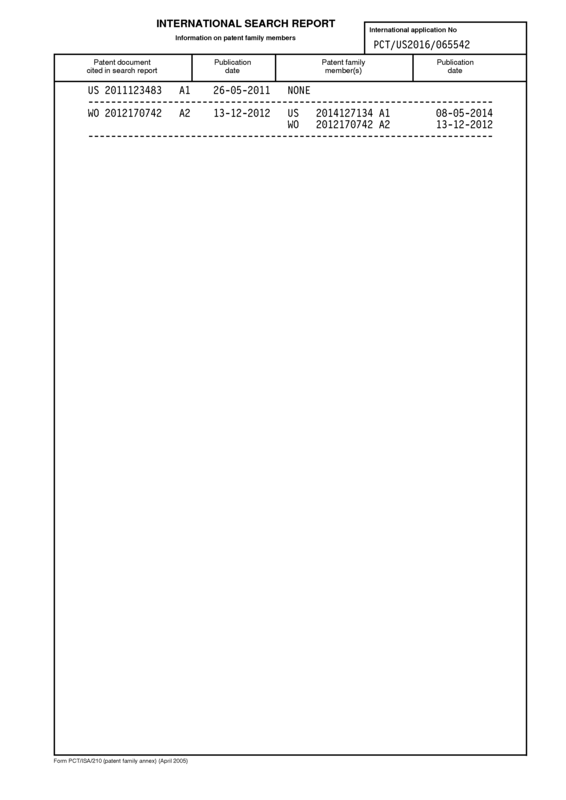 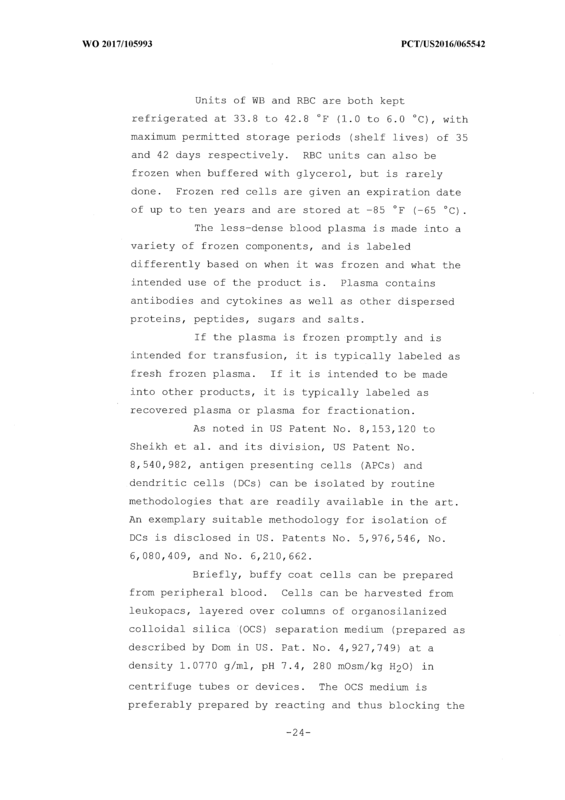 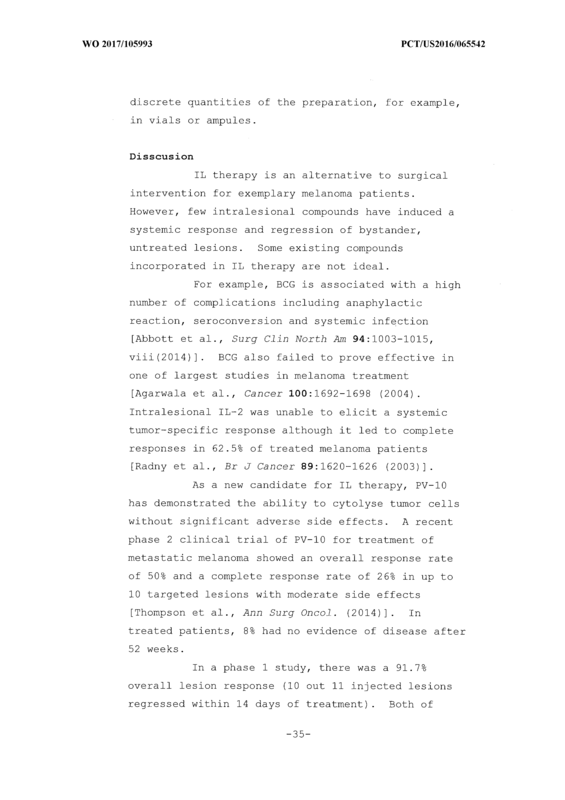 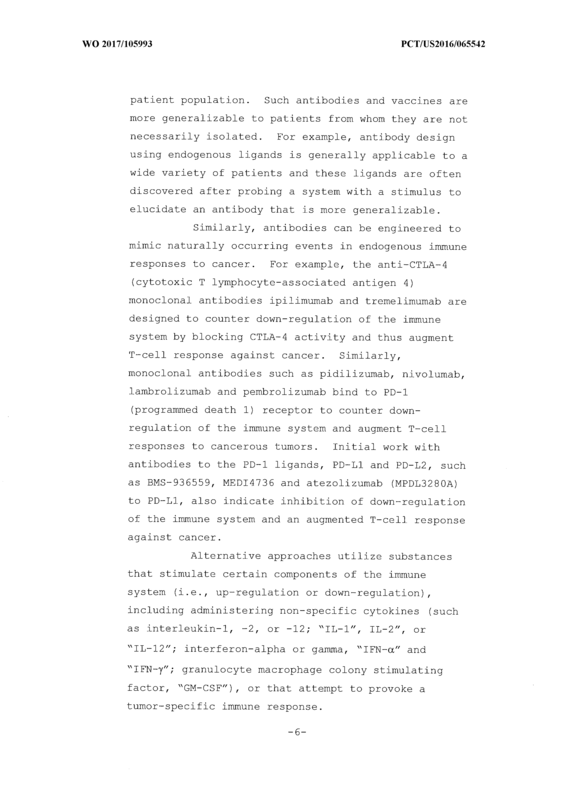 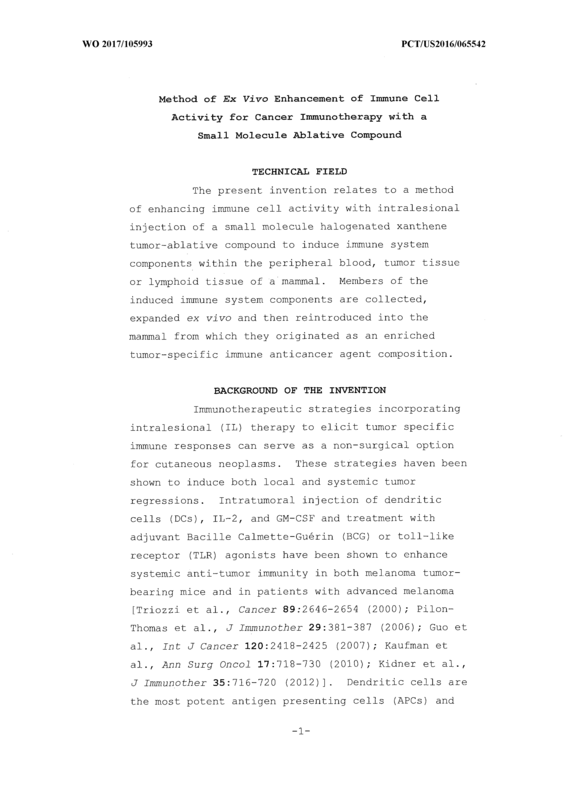 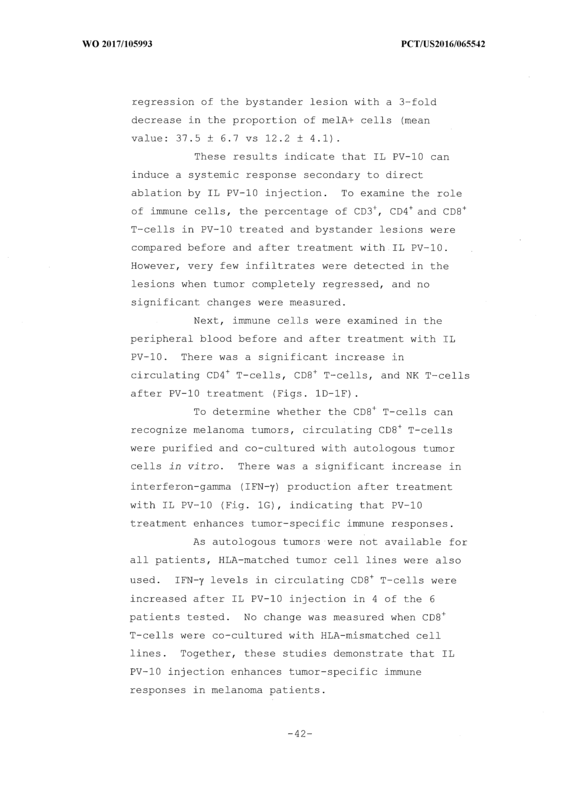 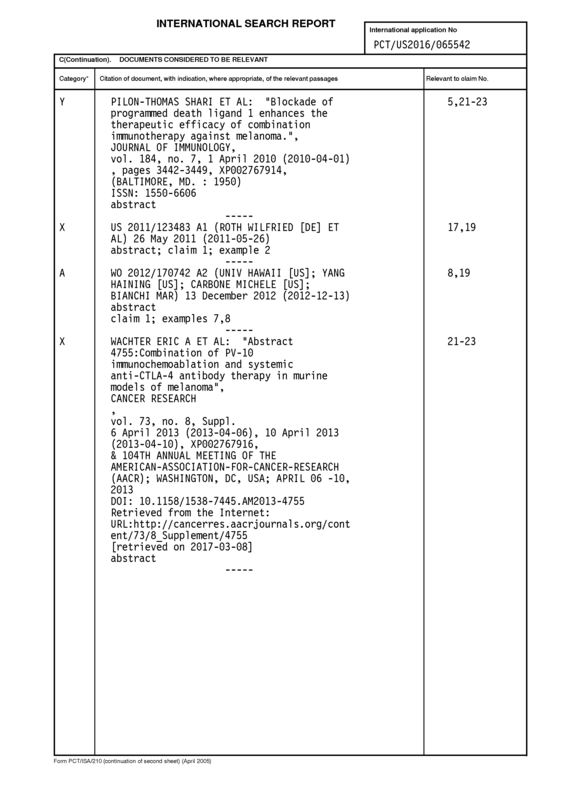 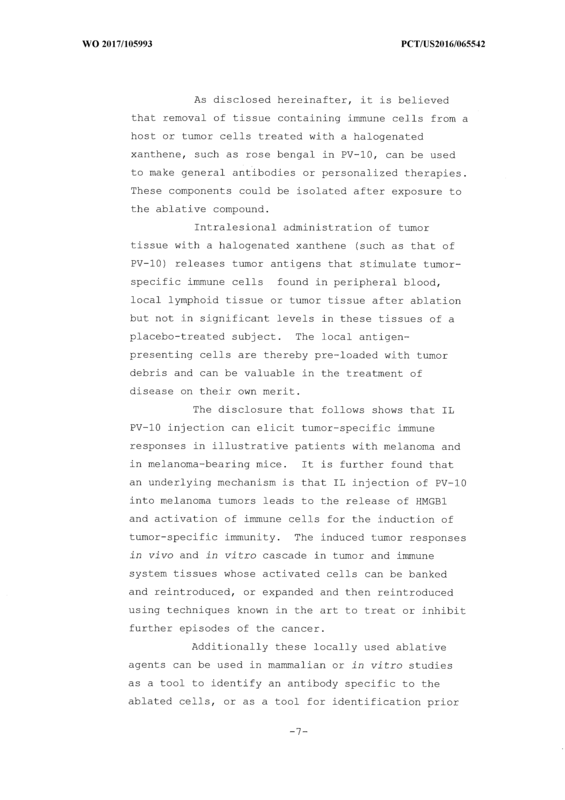 The method according to claim 21, wherein said systemic inhibitor of immune system down regulation is administered to said host animal after administration of said tumor-ablating amount of a halogenated xanthene and before collecting said sample that contains said induced immune anticancer components from said host animal. 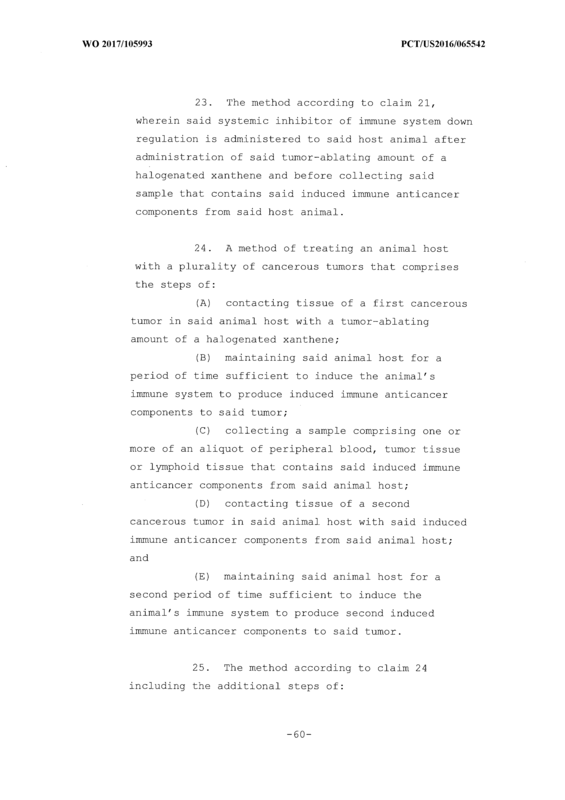 (E) maintaining said animal host for a second period of time sufficient to induce the animal's immune system to produce second induced immune anticancer components to said tumor. 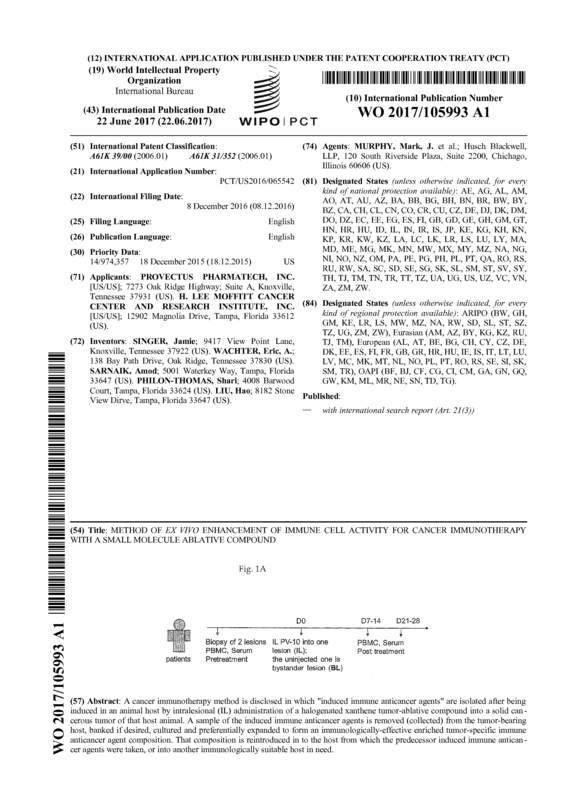 (D) culturxng and preferentially expanding in vitro said induced immune anticancer components present in said sample to form an enriched tumor- specific immune anticancer agent composition.